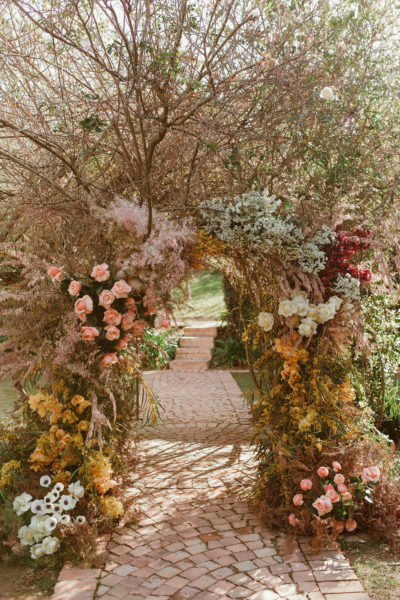 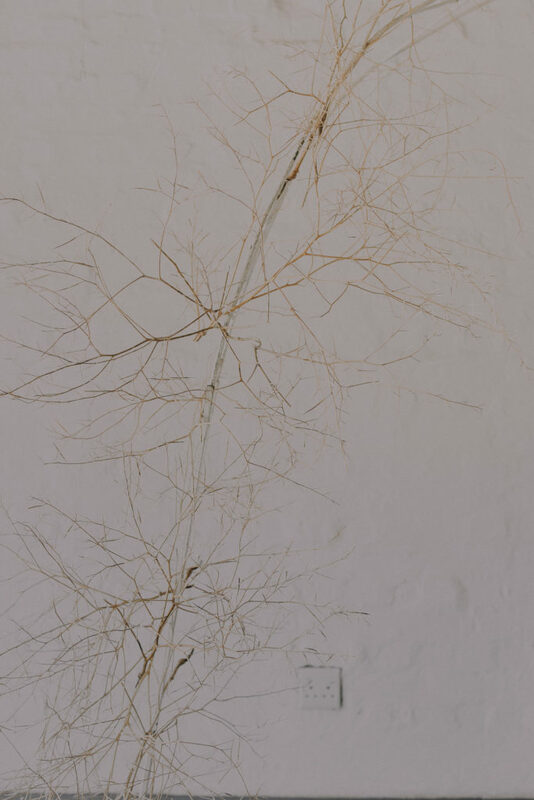 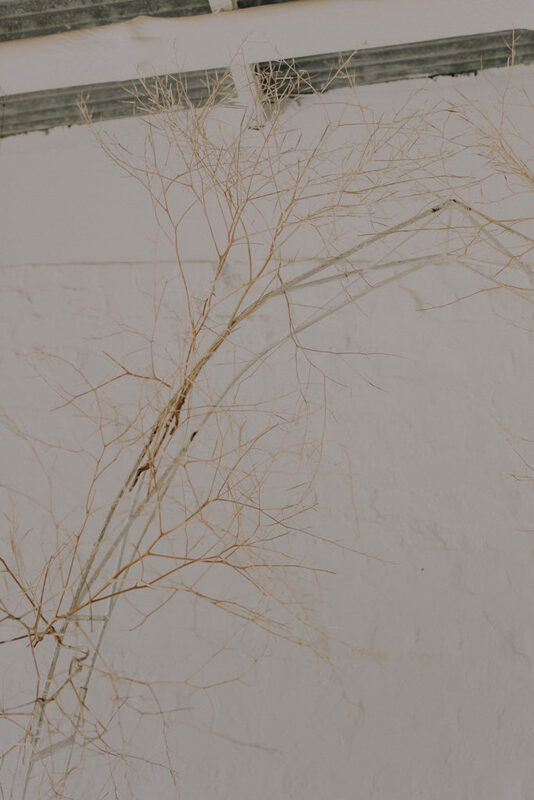 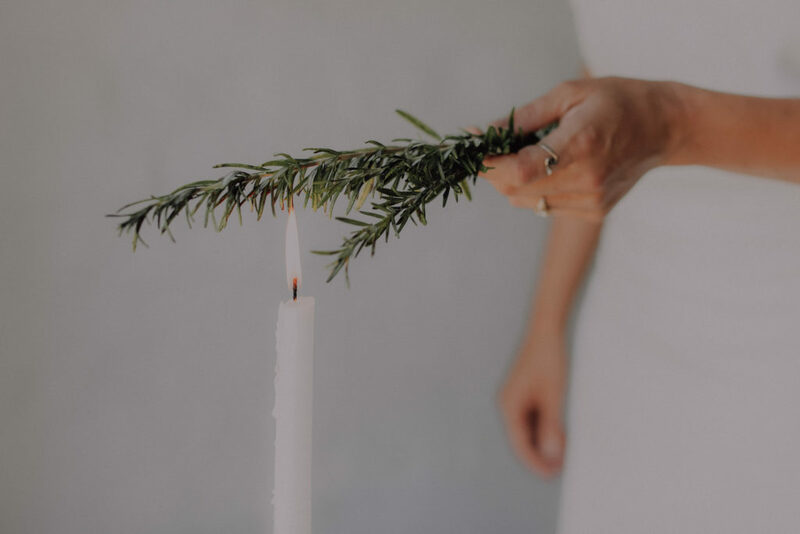 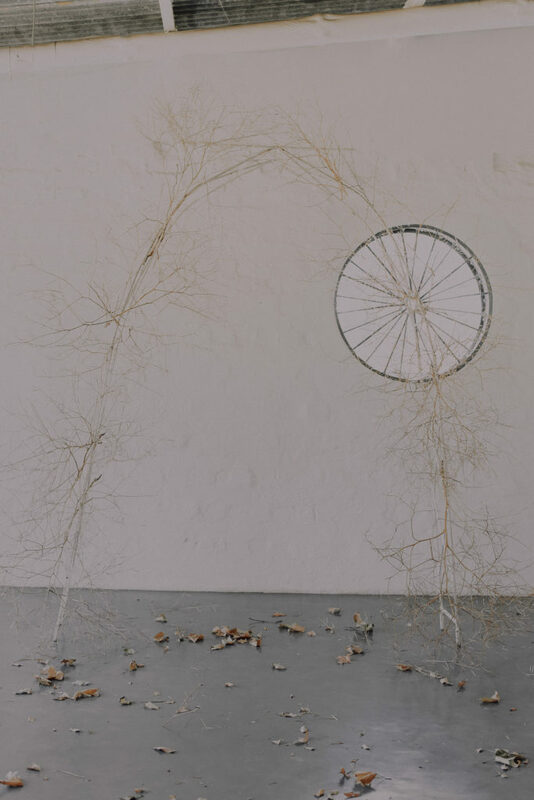 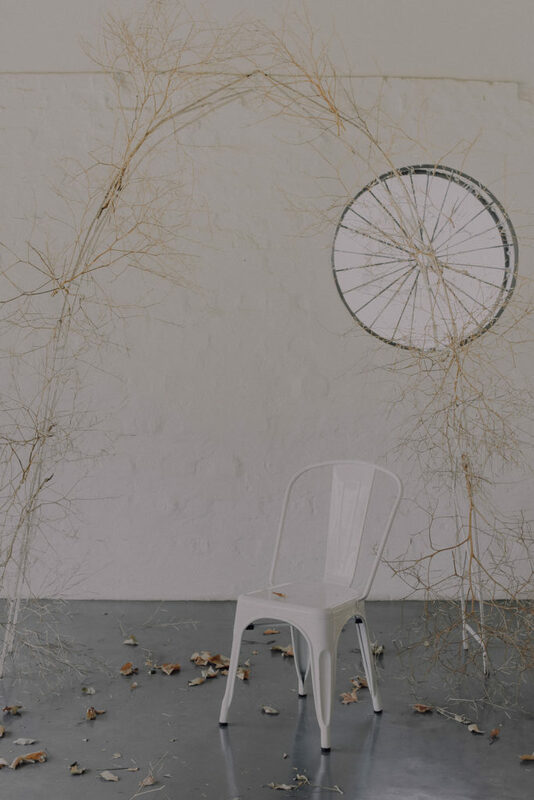 The idea of a simple, understated floral arch made out of tumbleweeds haunted me for weeks and when December came, I knew this was going to be the feature element of our annual end-of-year editorial. 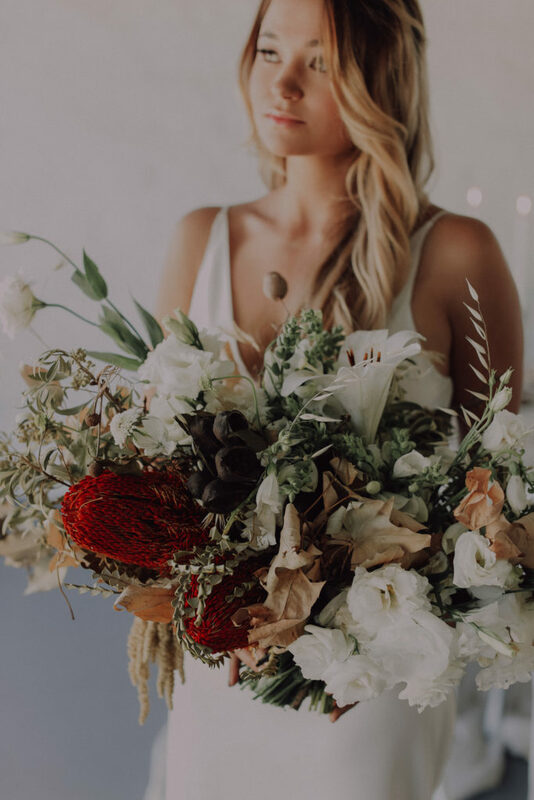 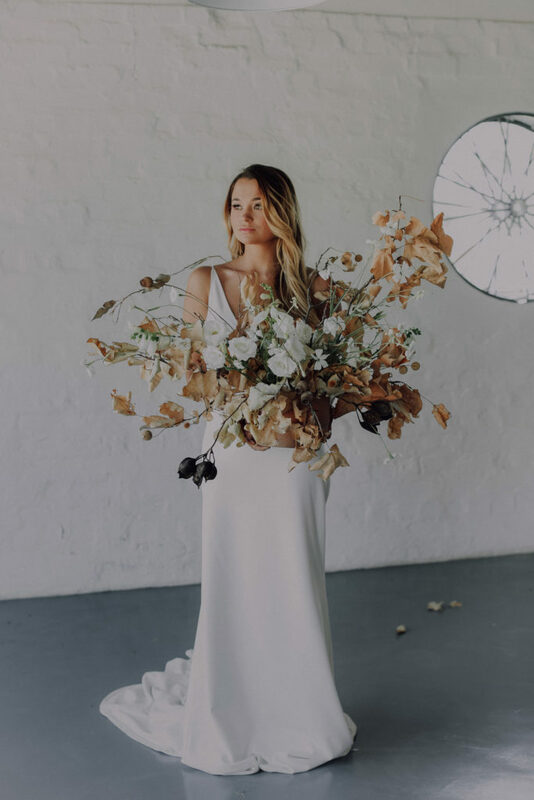 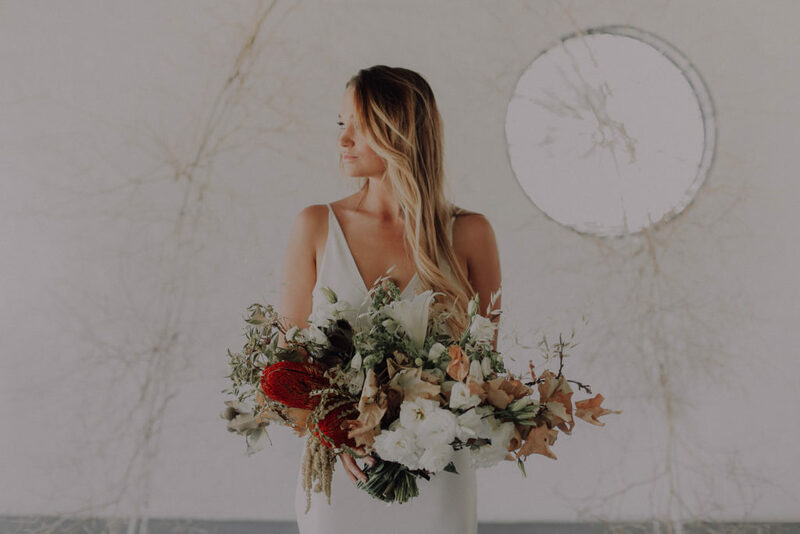 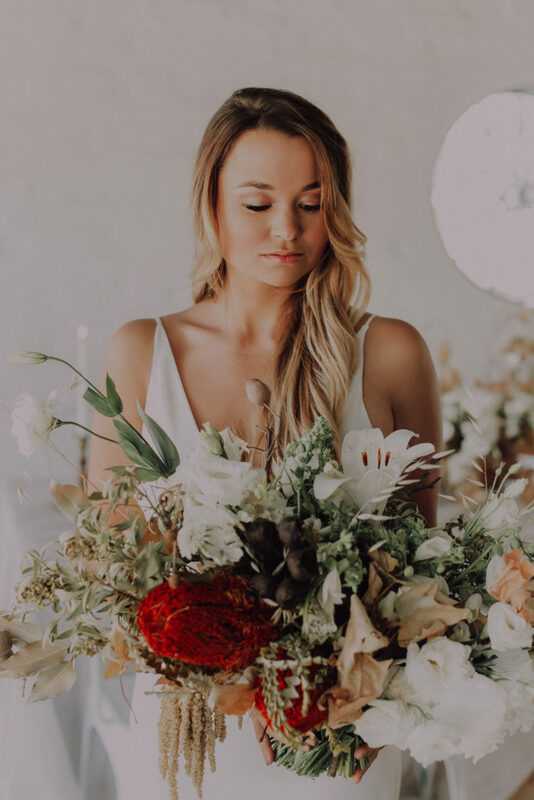 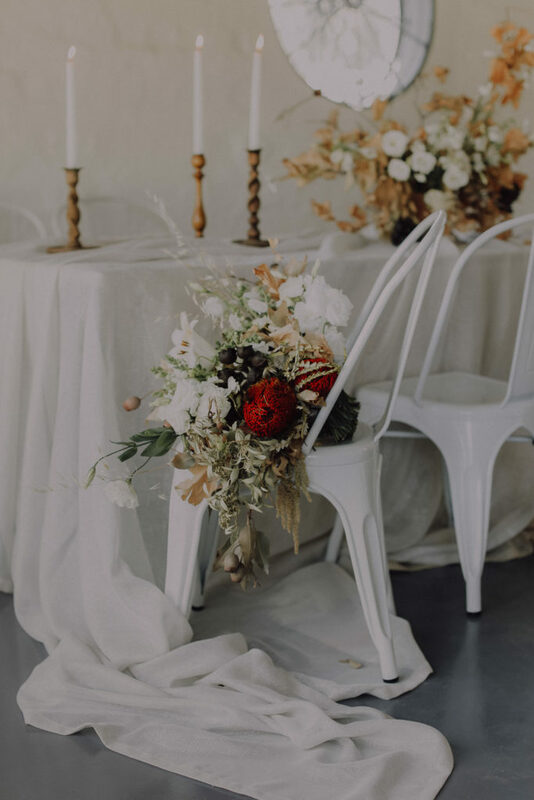 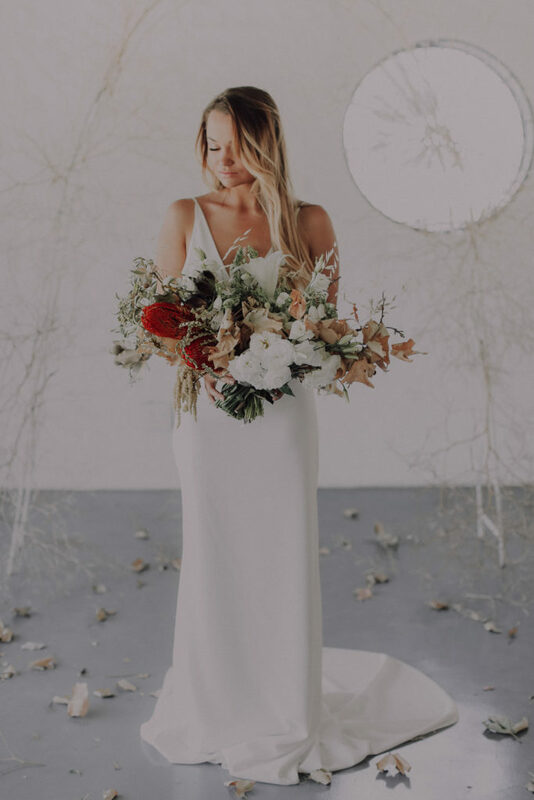 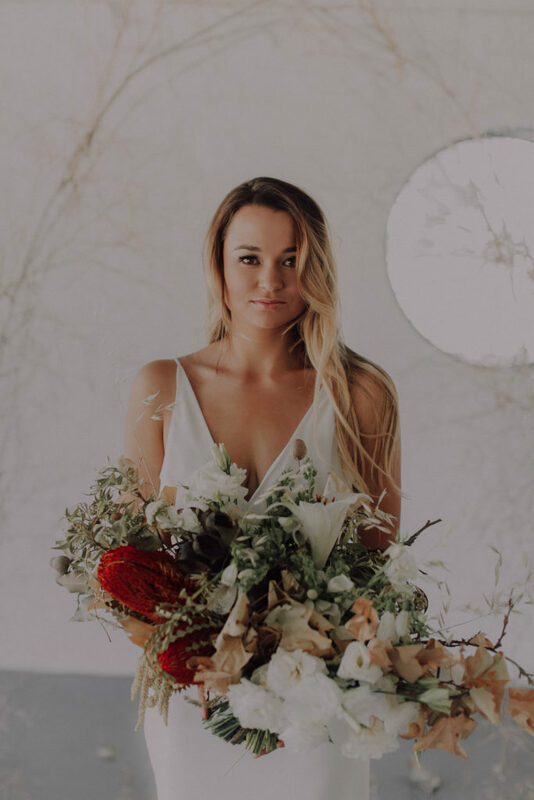 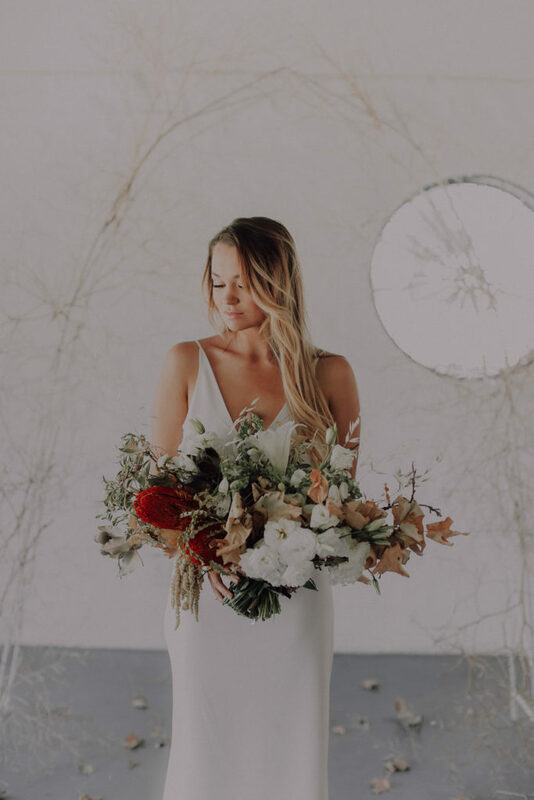 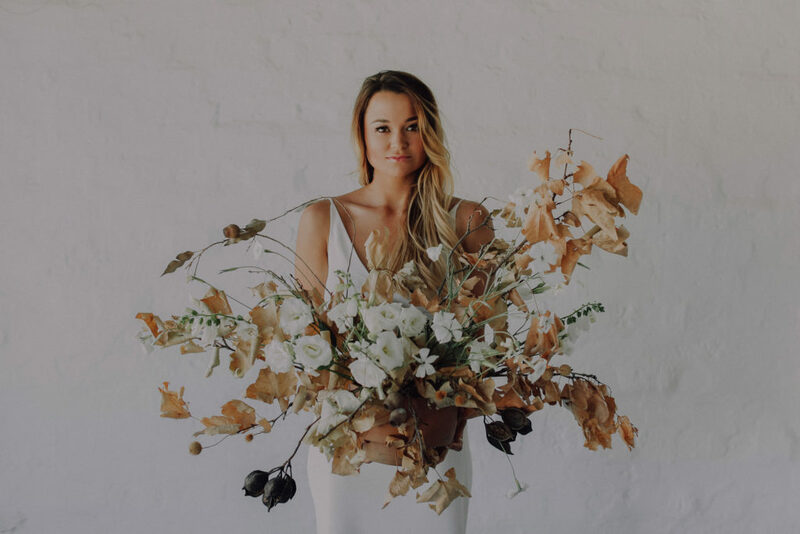 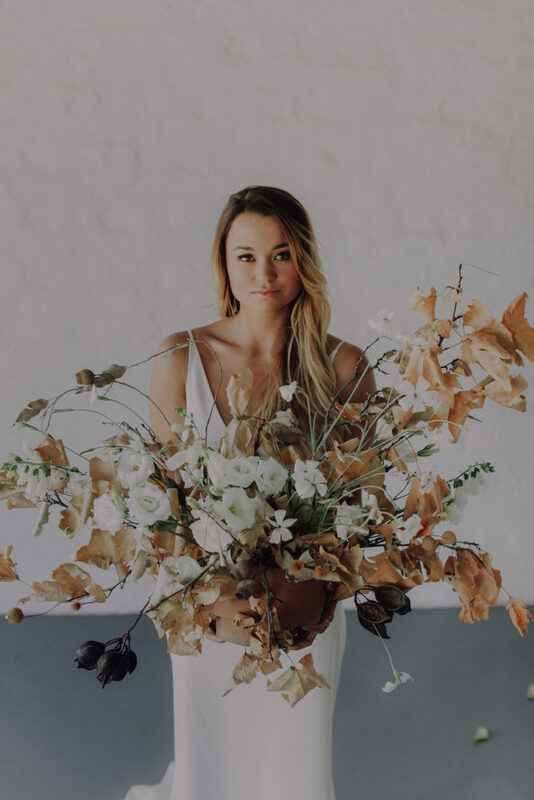 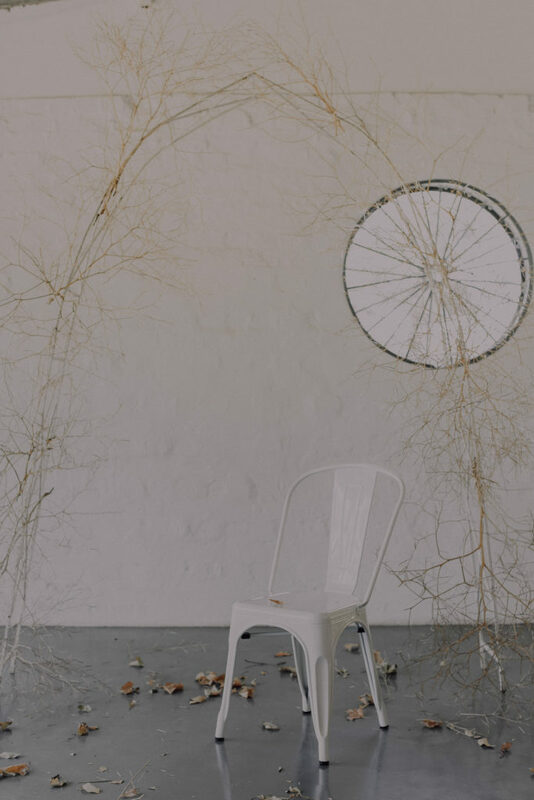 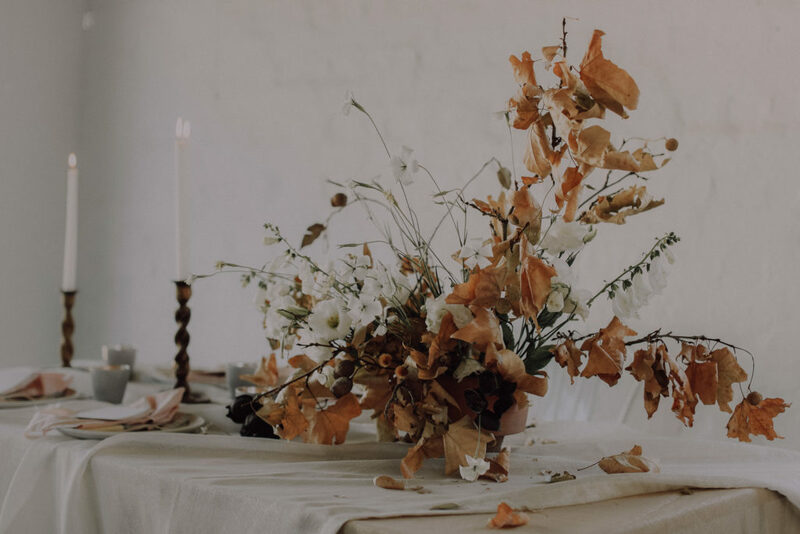 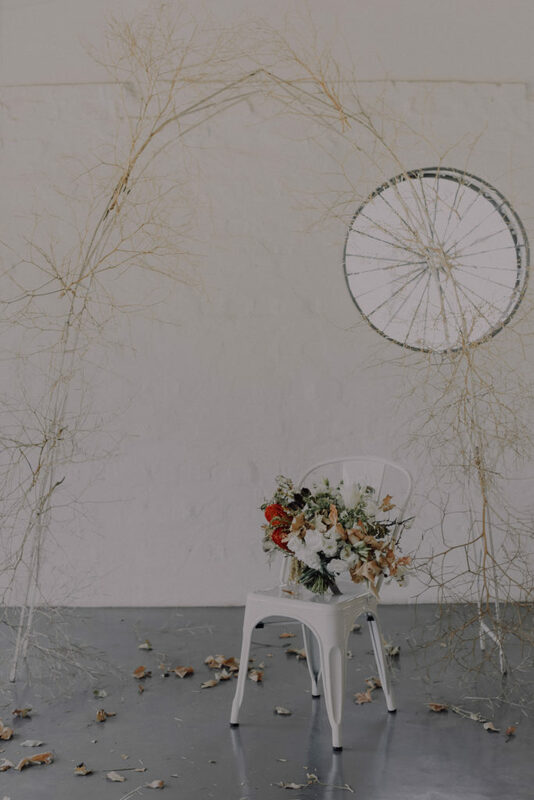 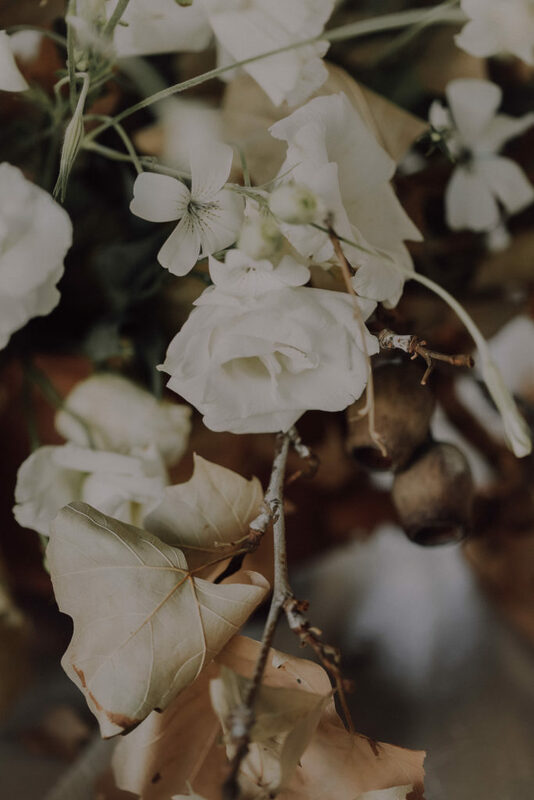 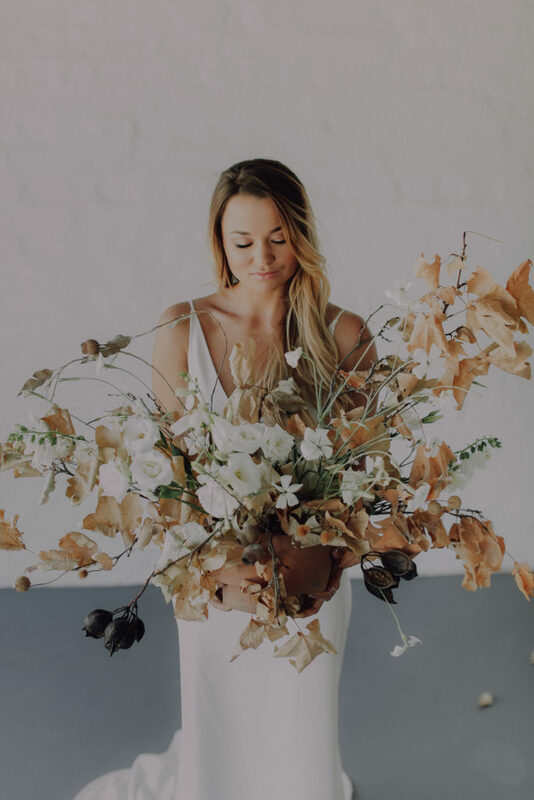 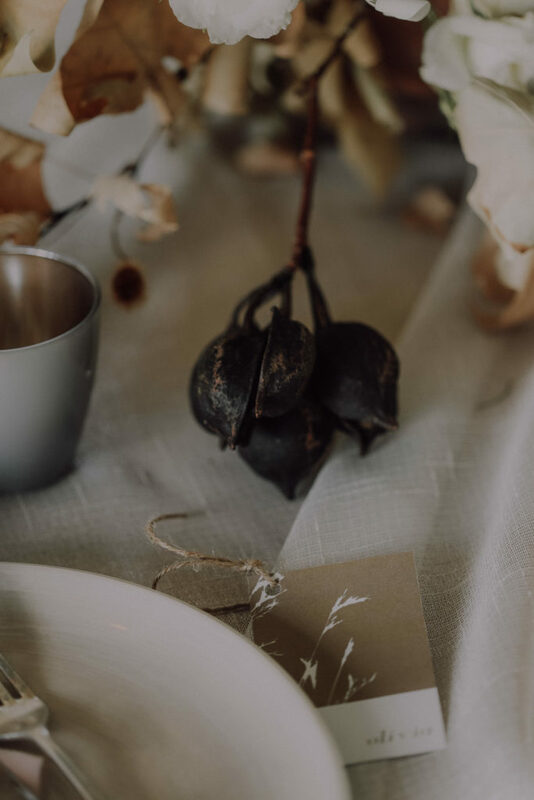 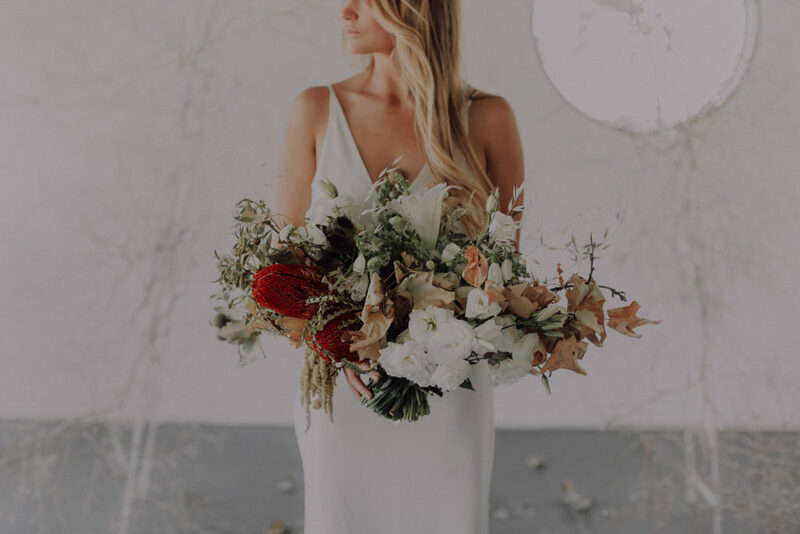 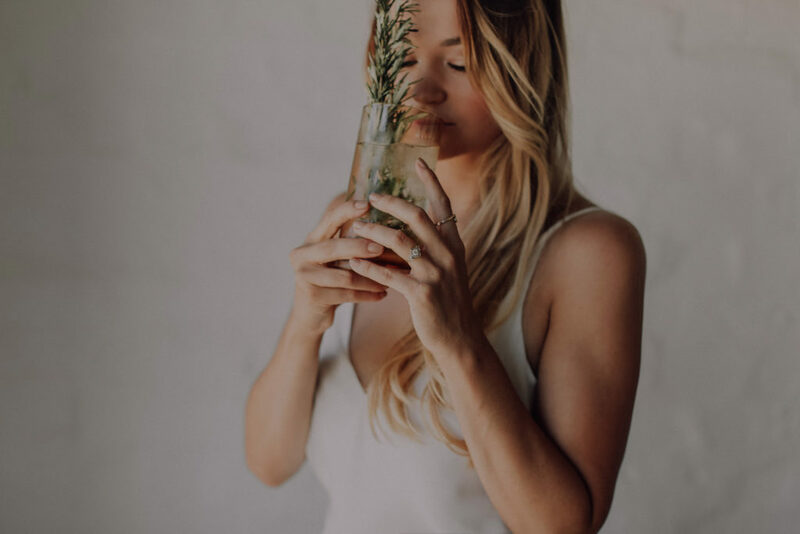 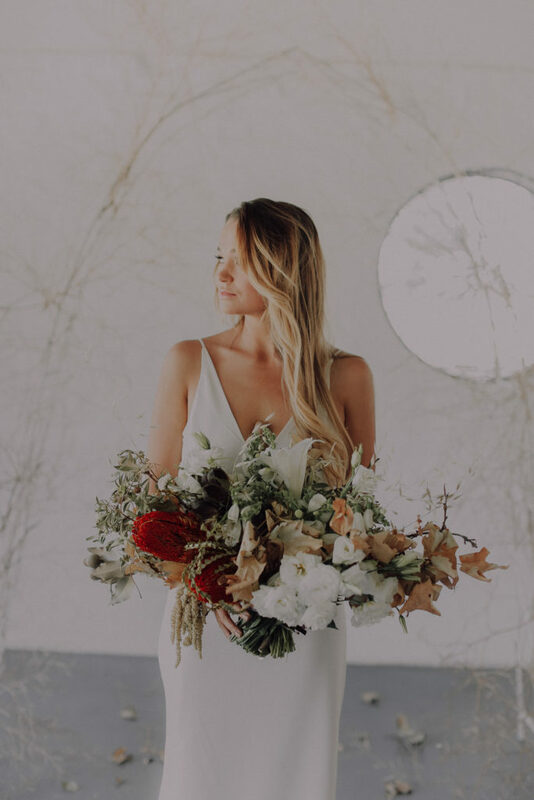 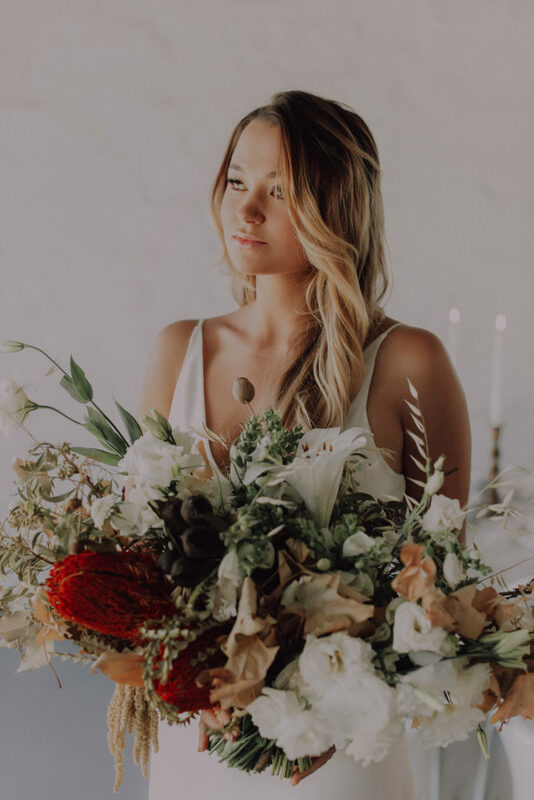 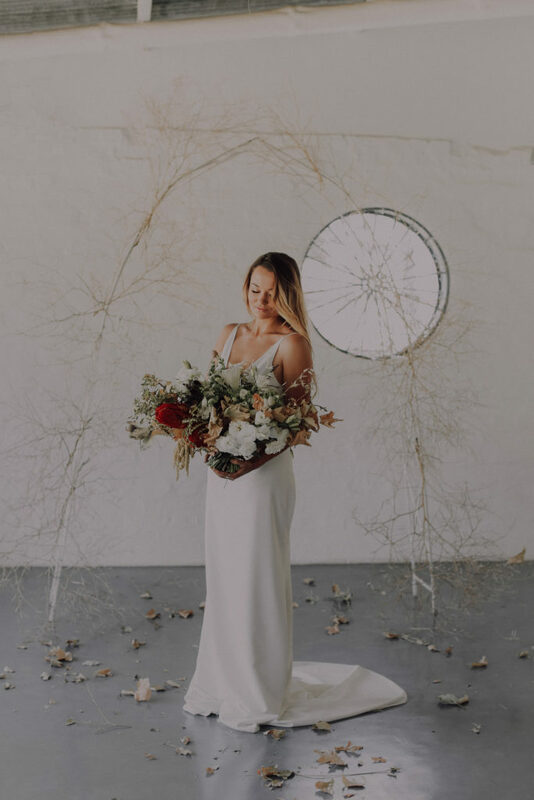 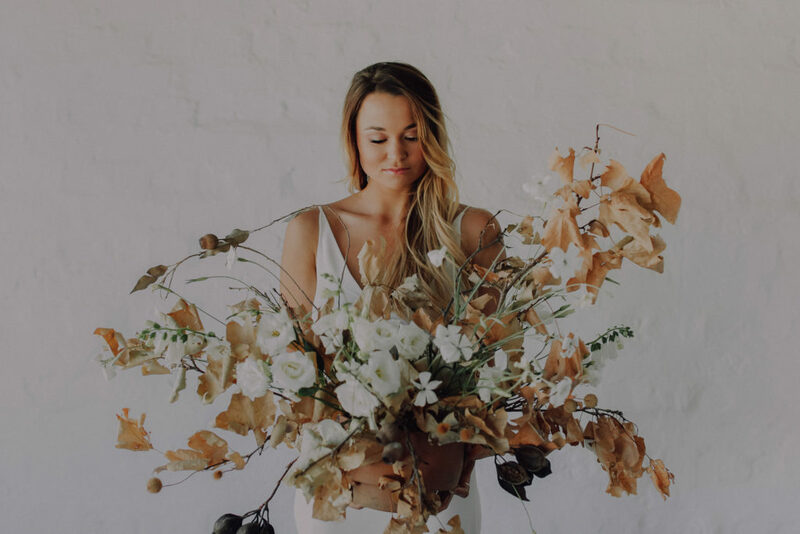 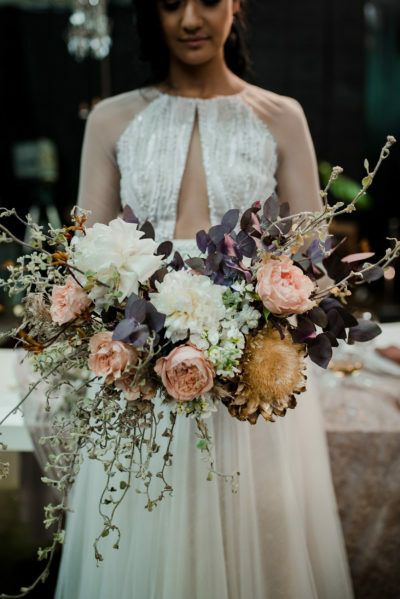 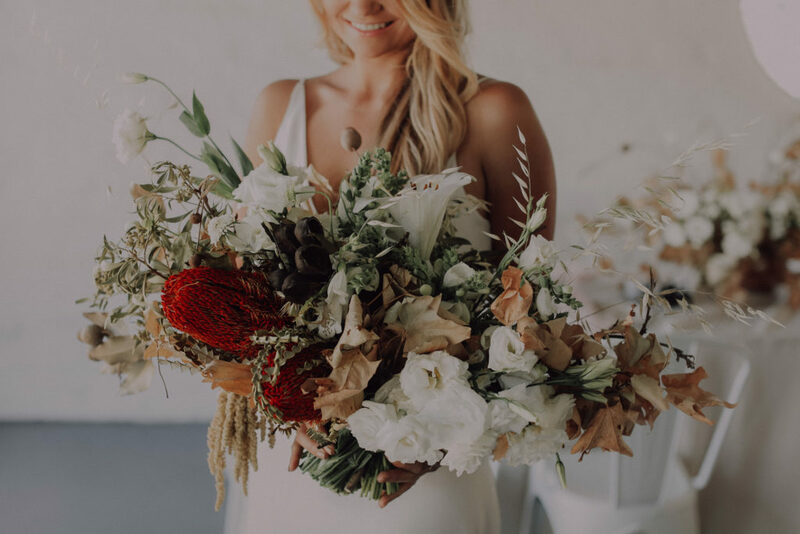 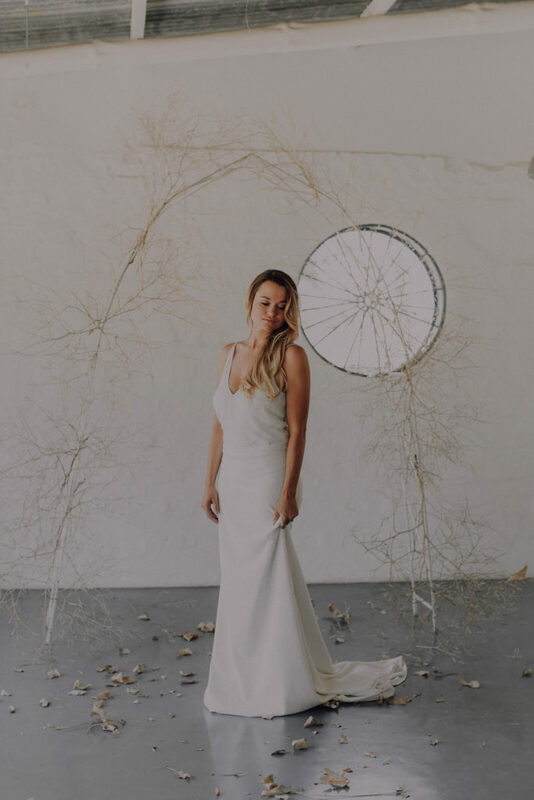 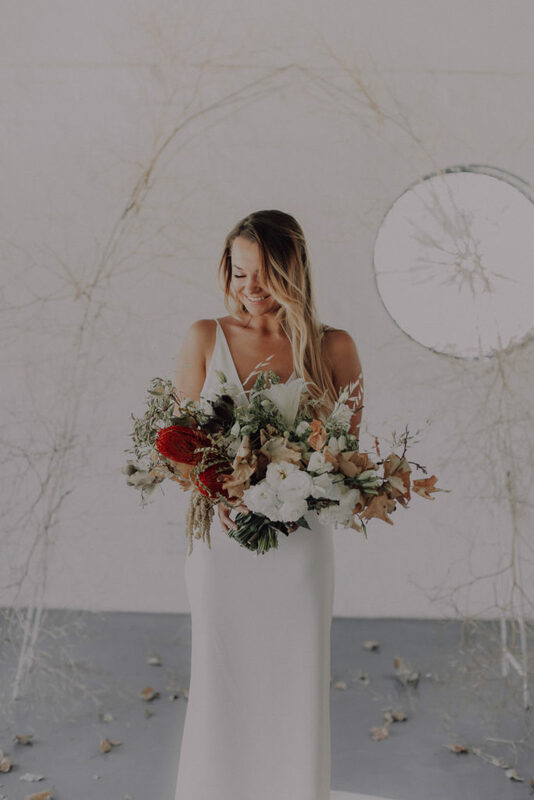 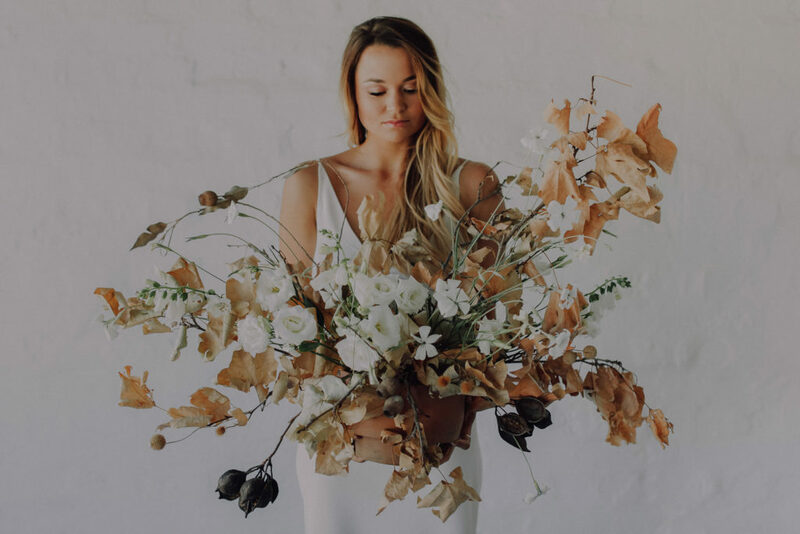 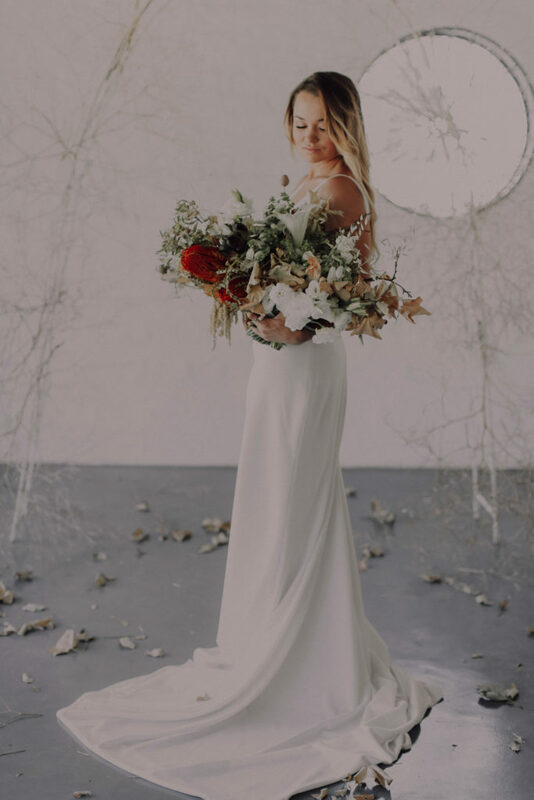 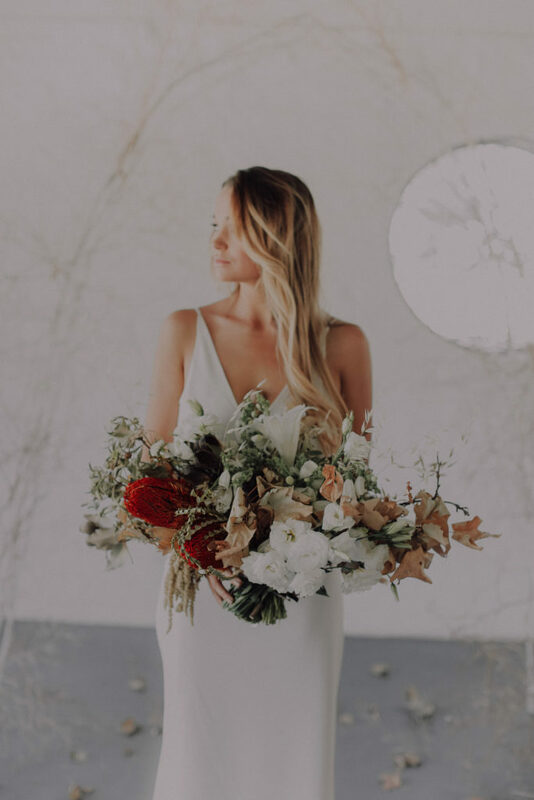 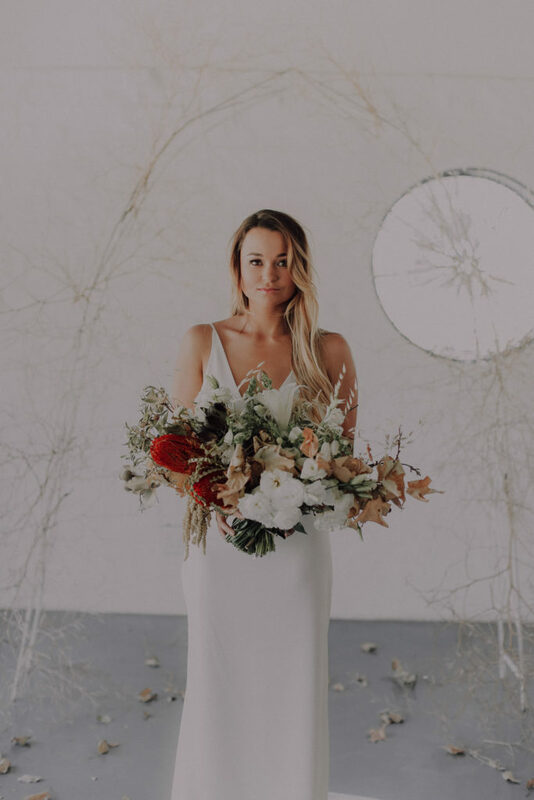 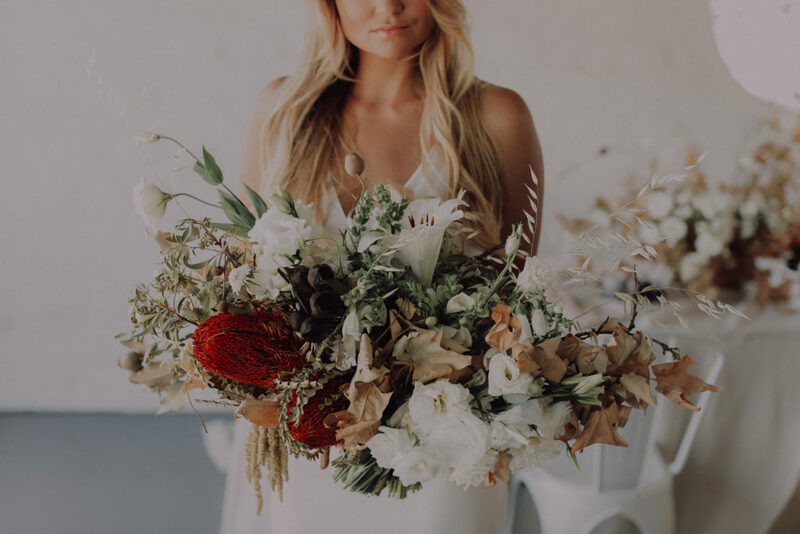 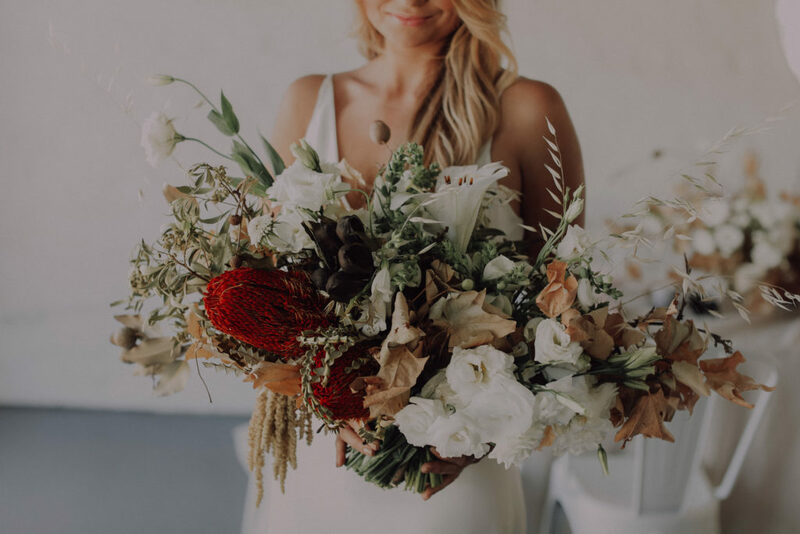 The brides arrangement and bouquet was made from foraged and dried oak leaves, and the arch itself consisted of tumbleweeds to create a soft but very minimalistic look! 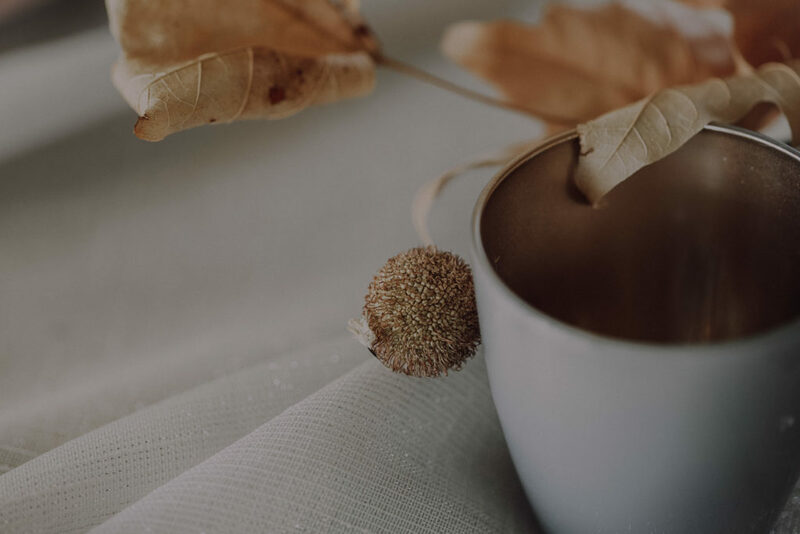 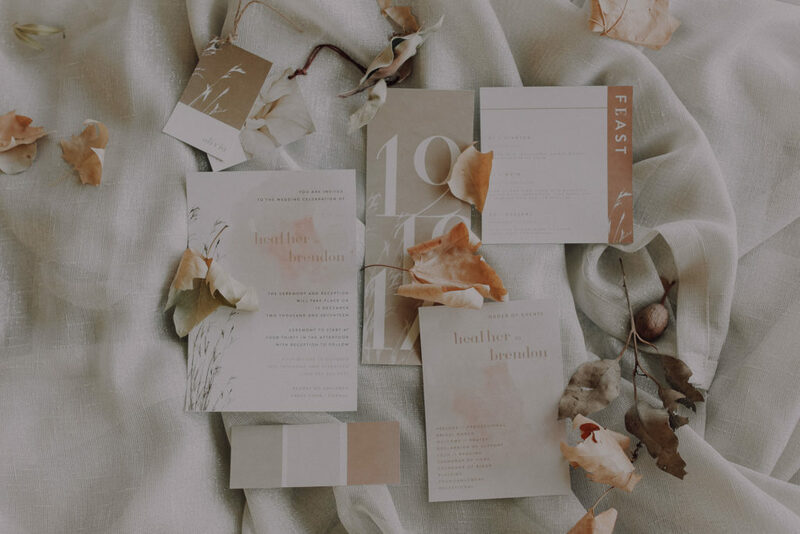 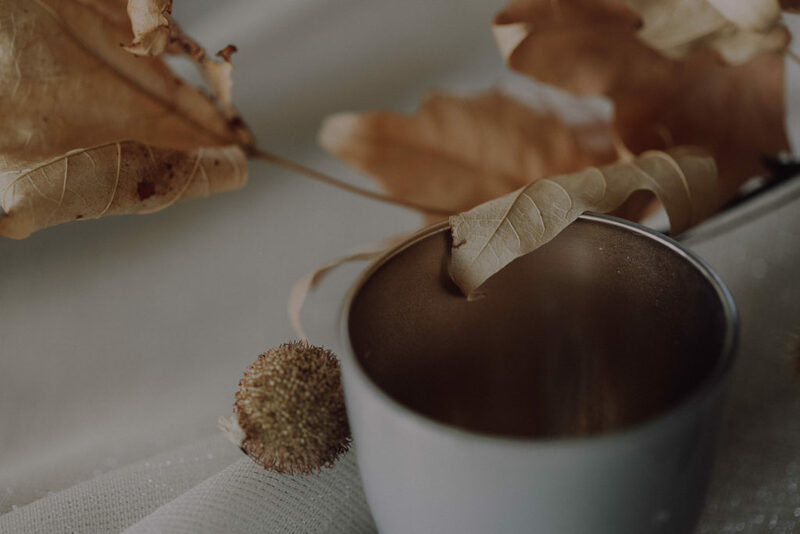 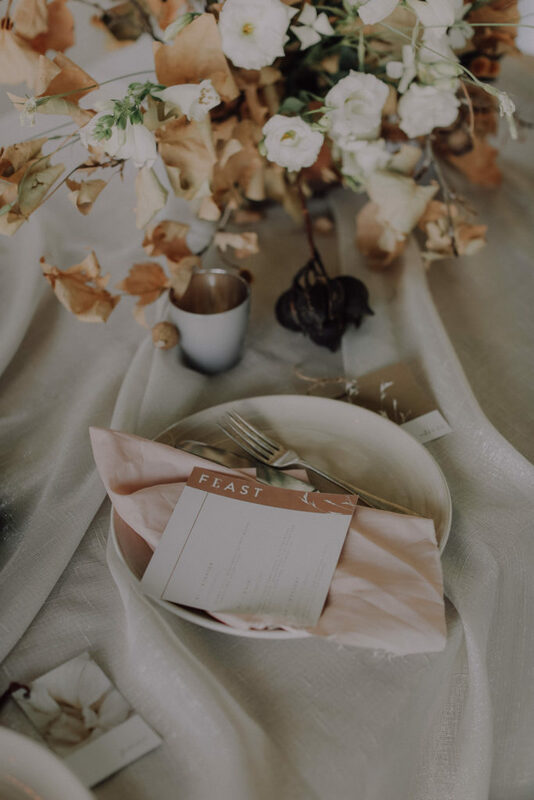 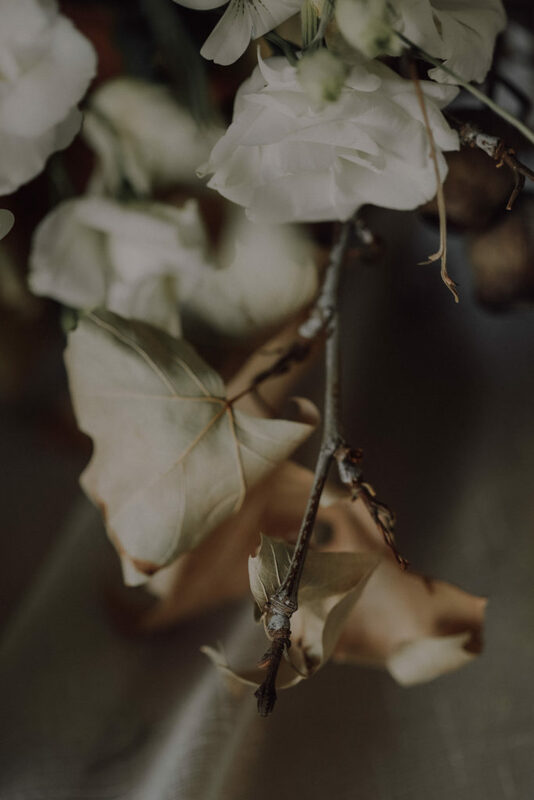 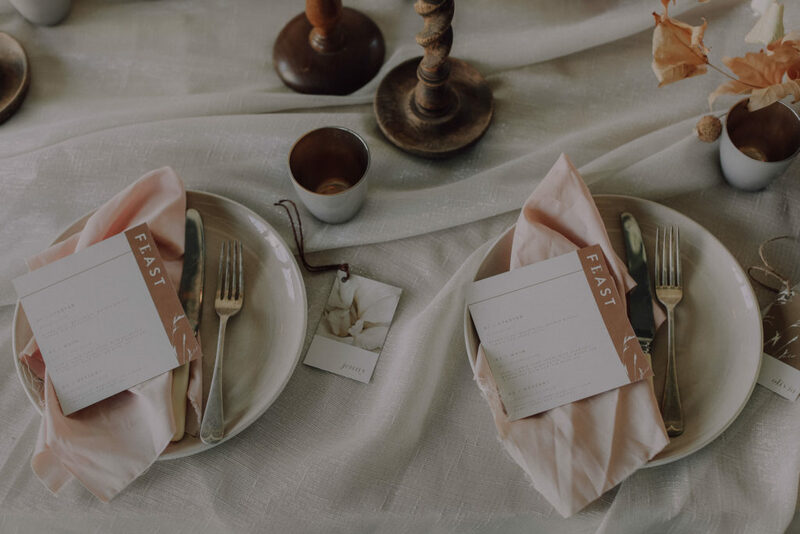 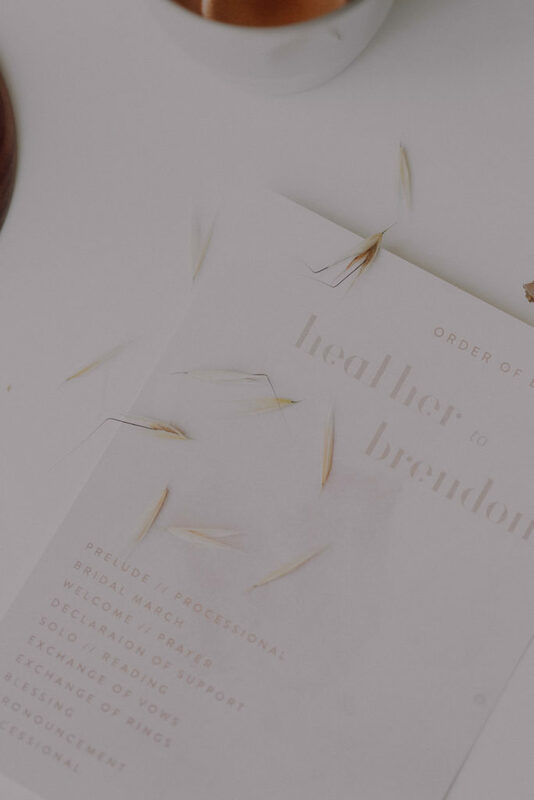 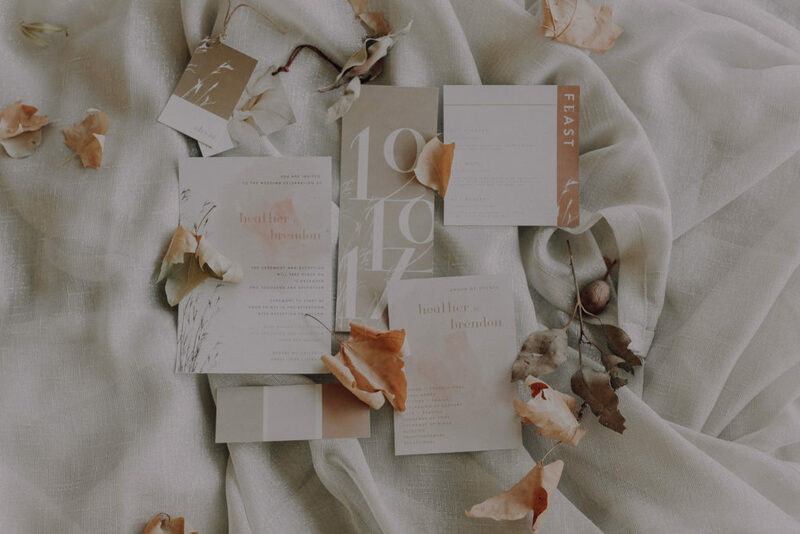 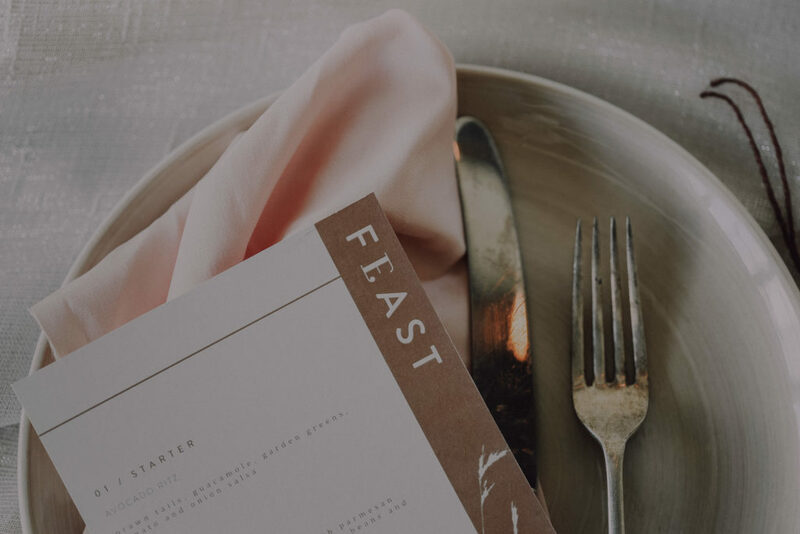 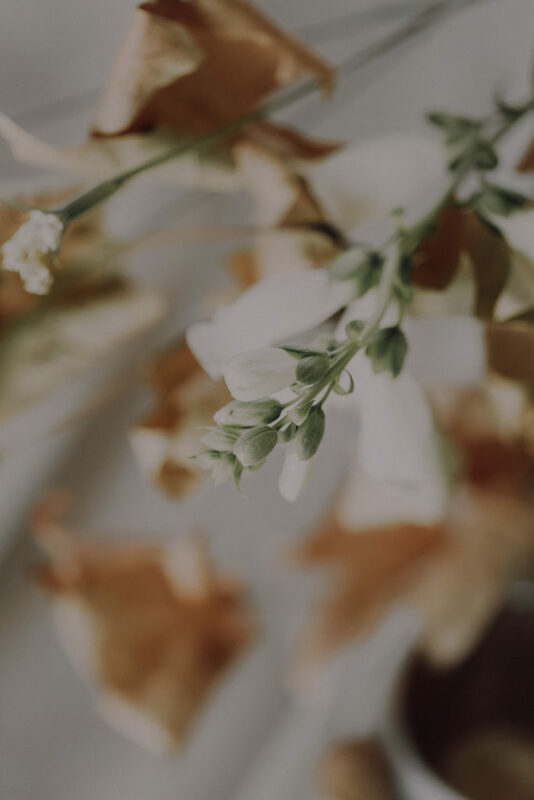 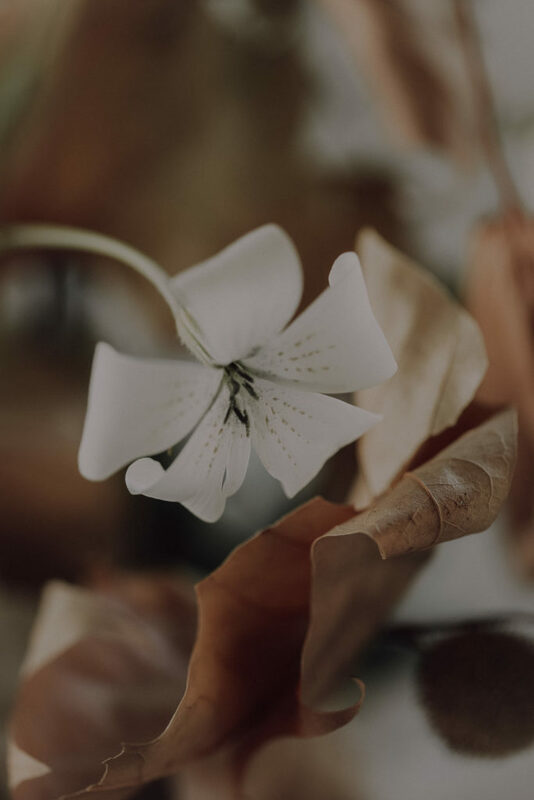 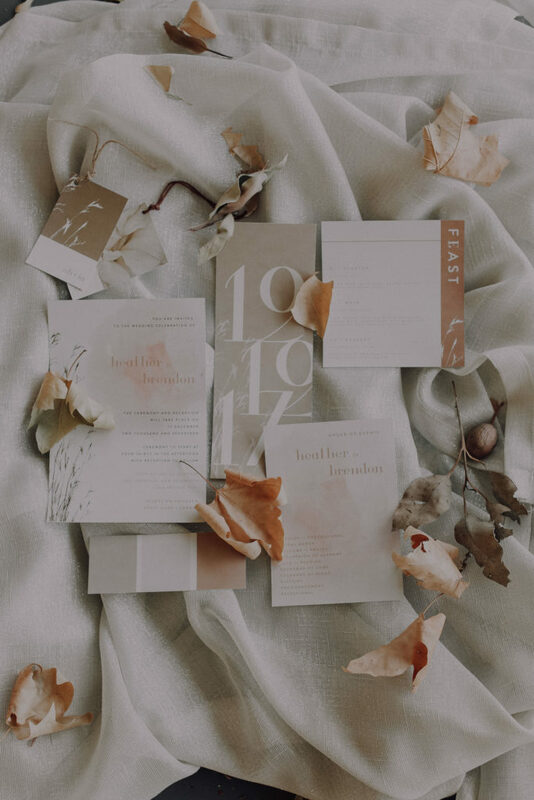 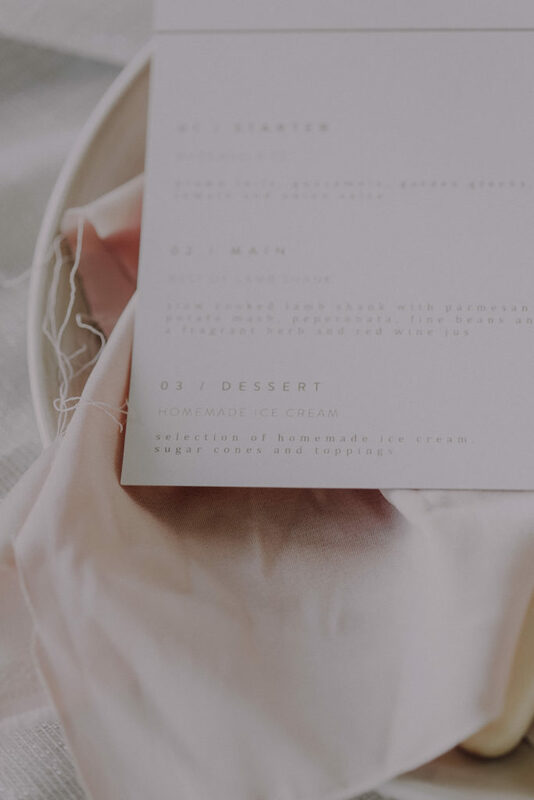 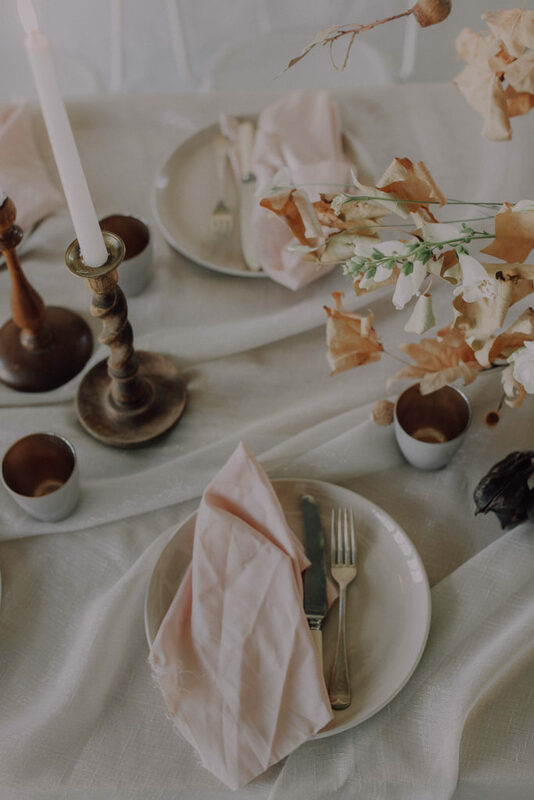 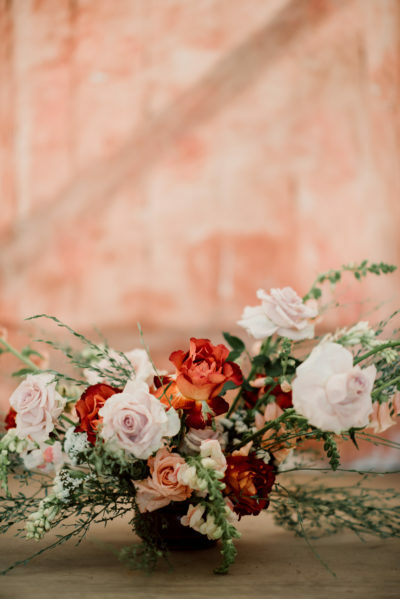 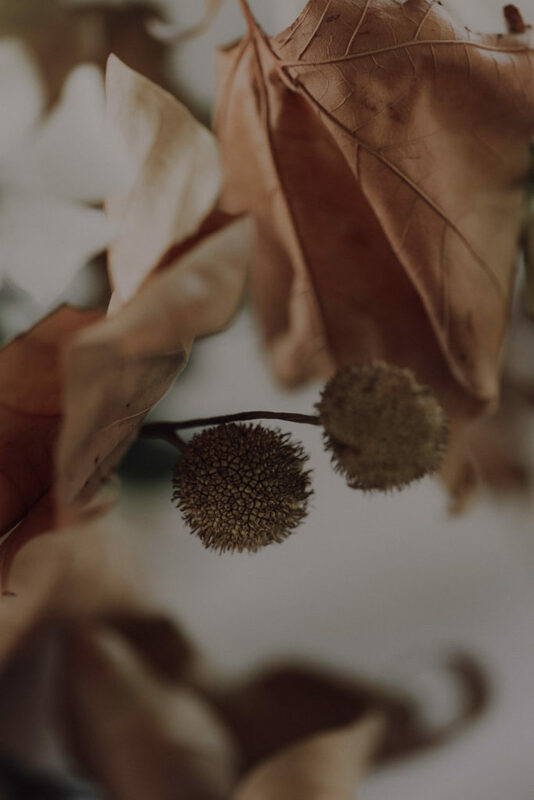 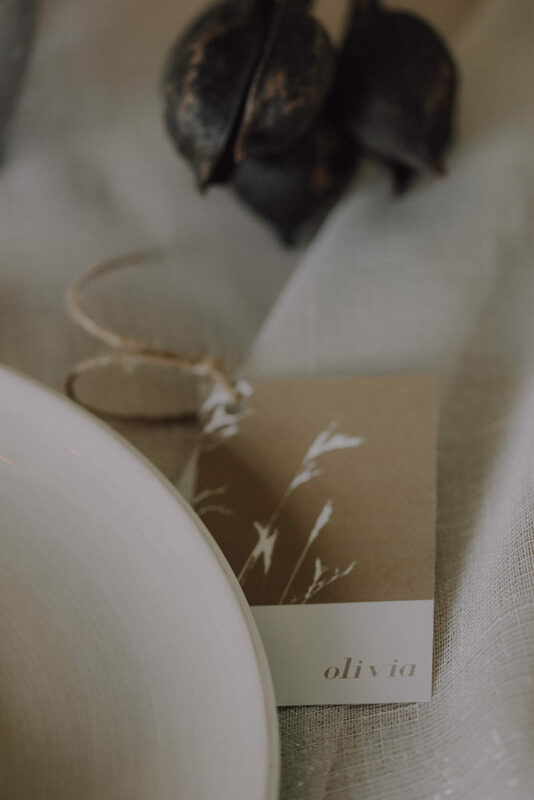 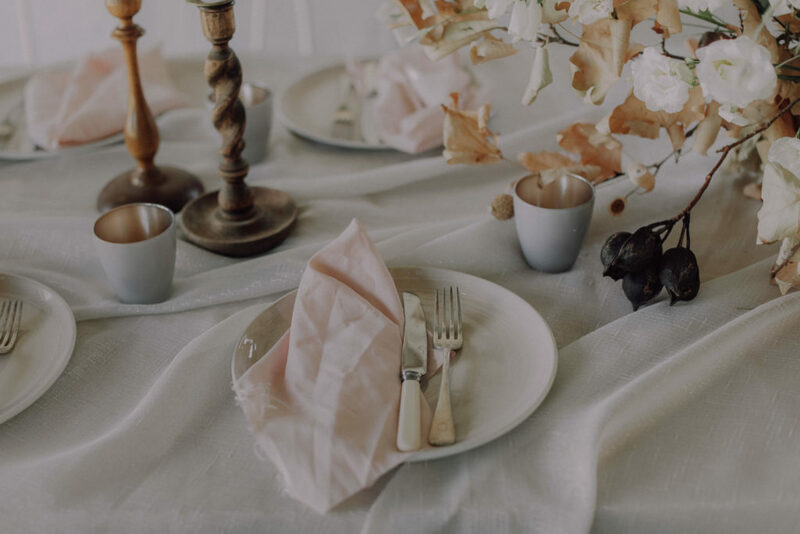 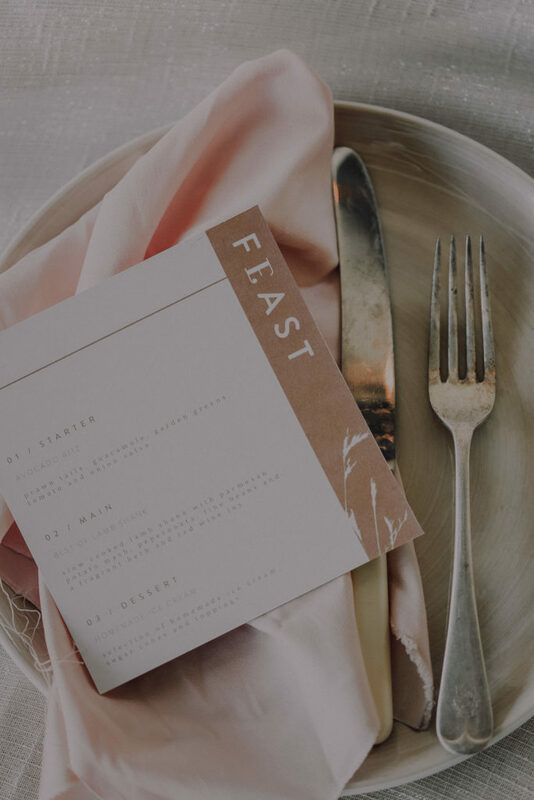 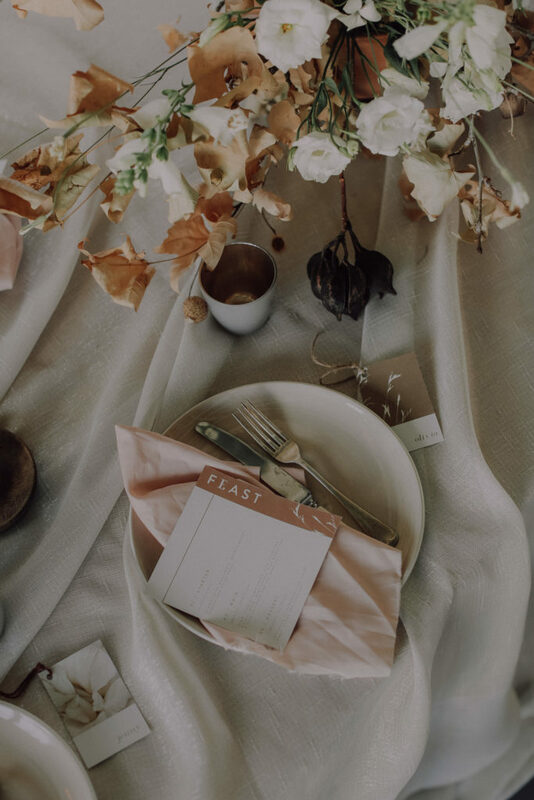 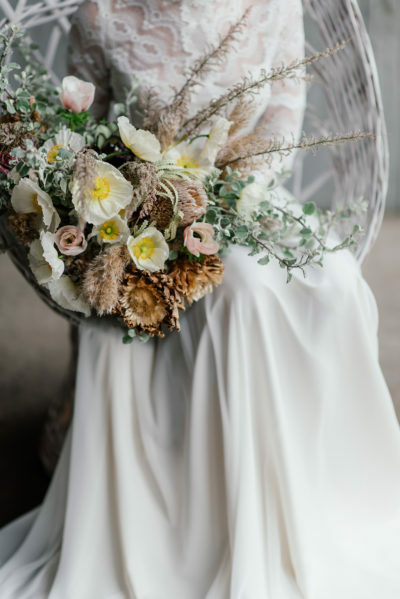 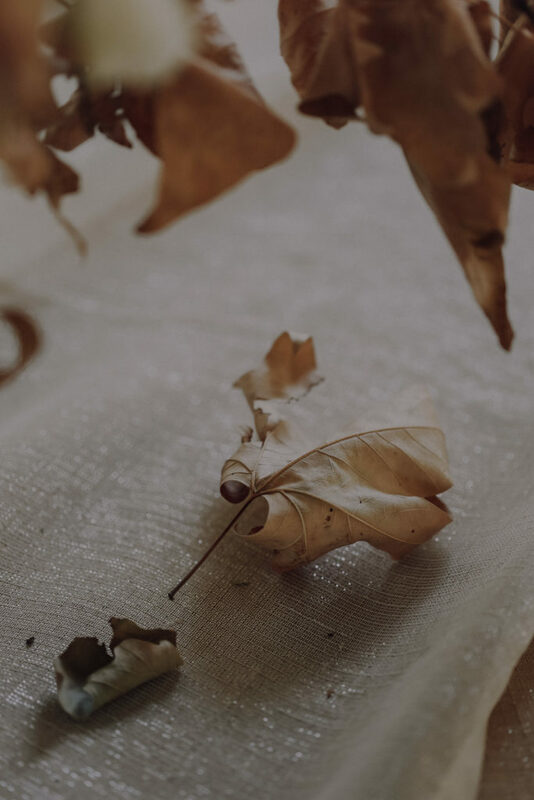 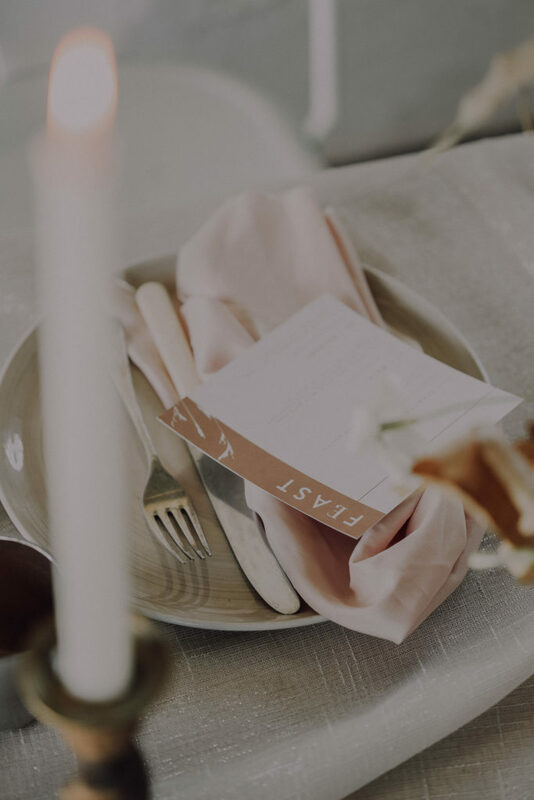 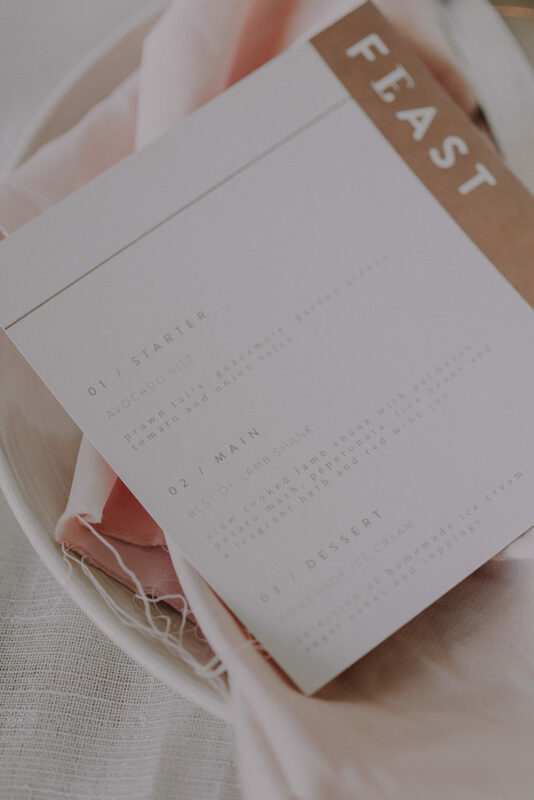 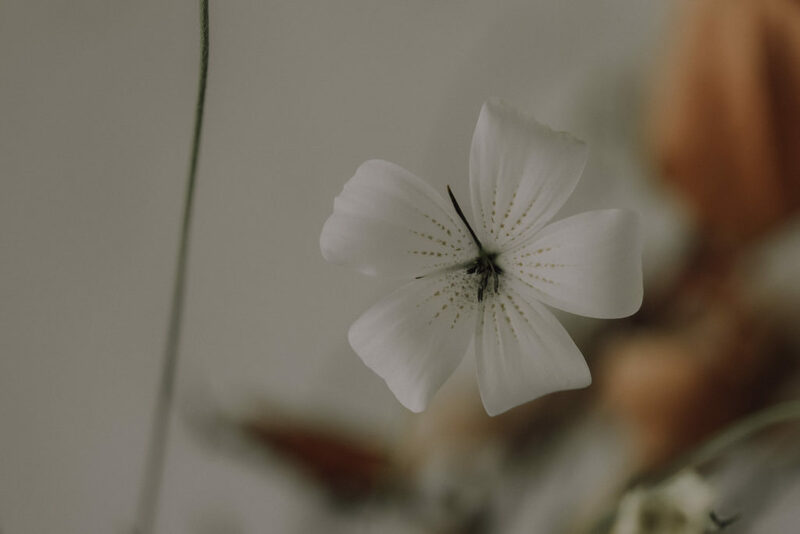 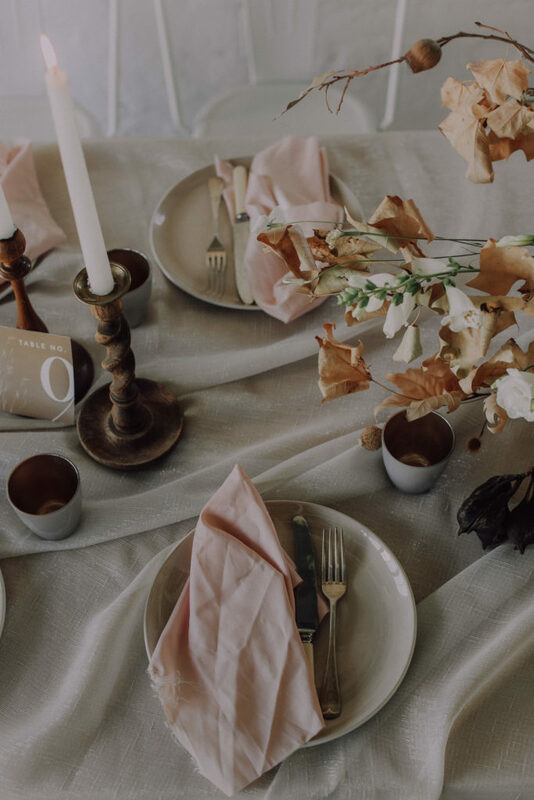 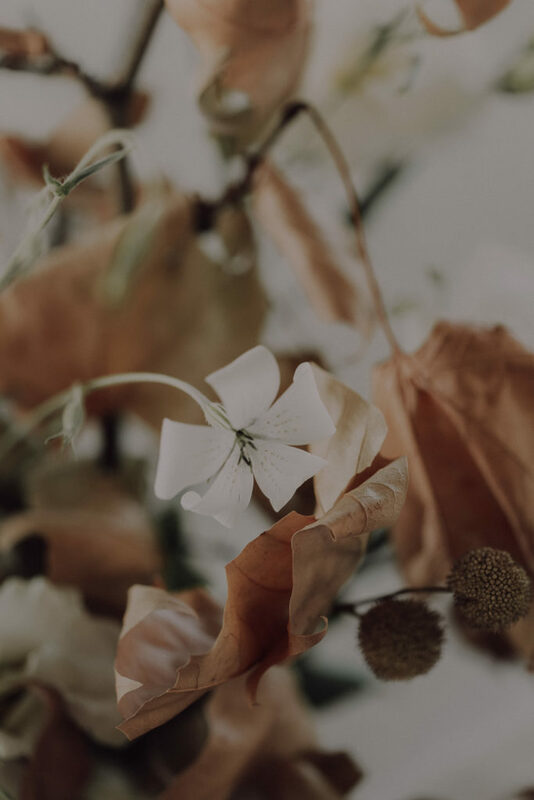 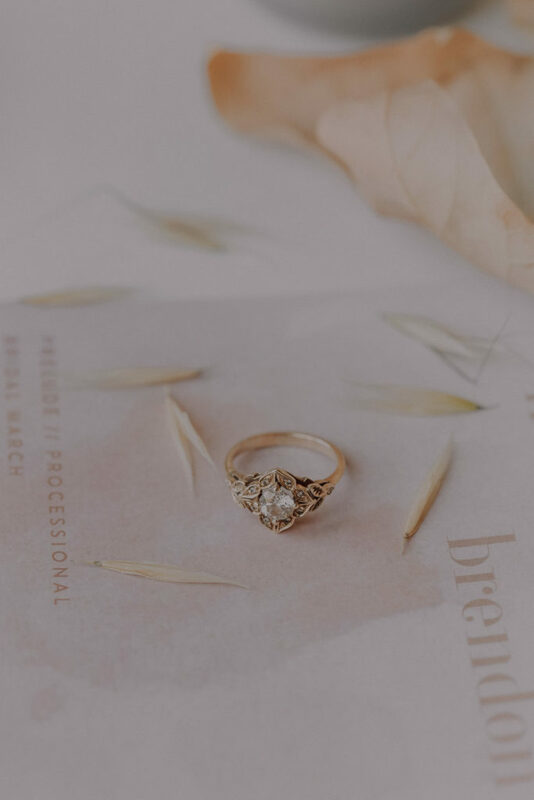 The gorgeous photos by Michelle DT Photography captured the muted tones and blush hues. 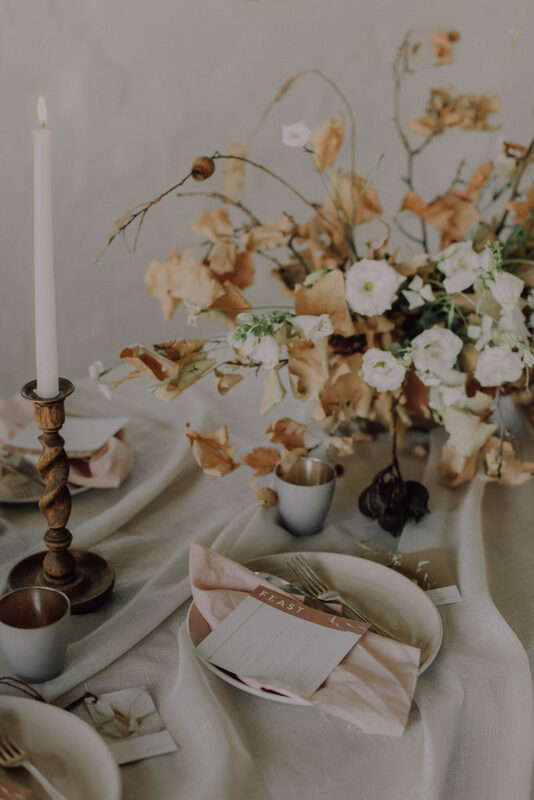 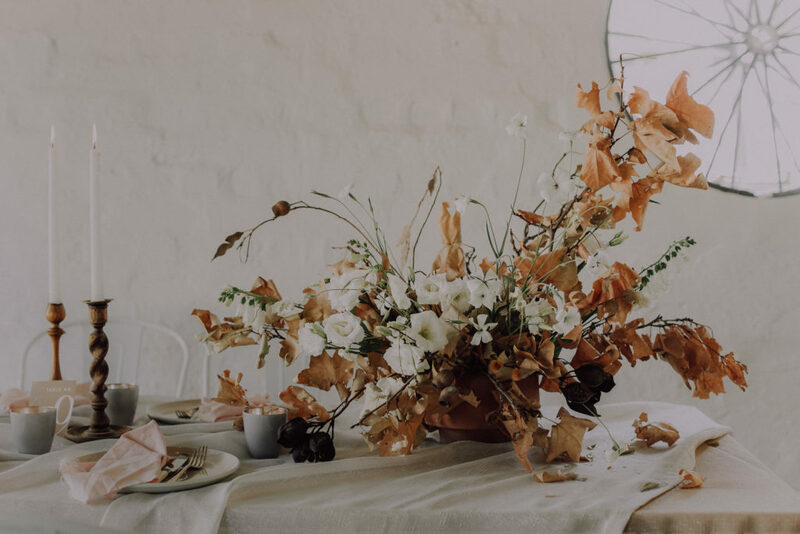 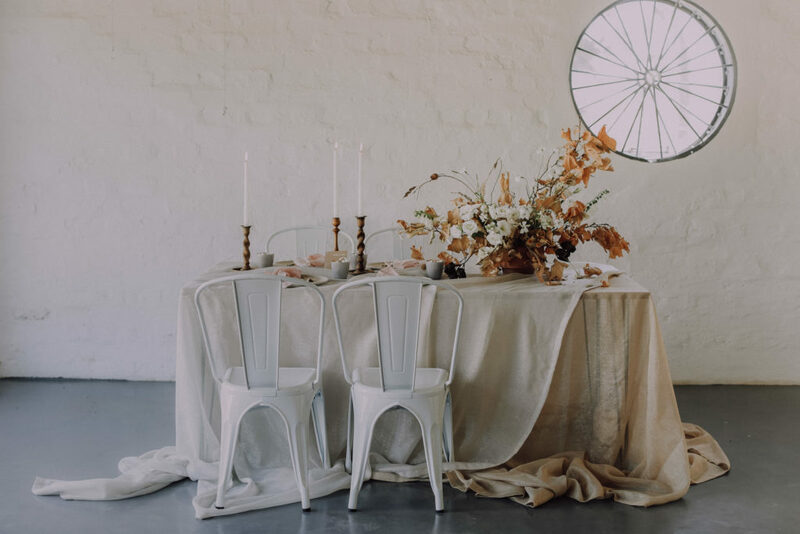 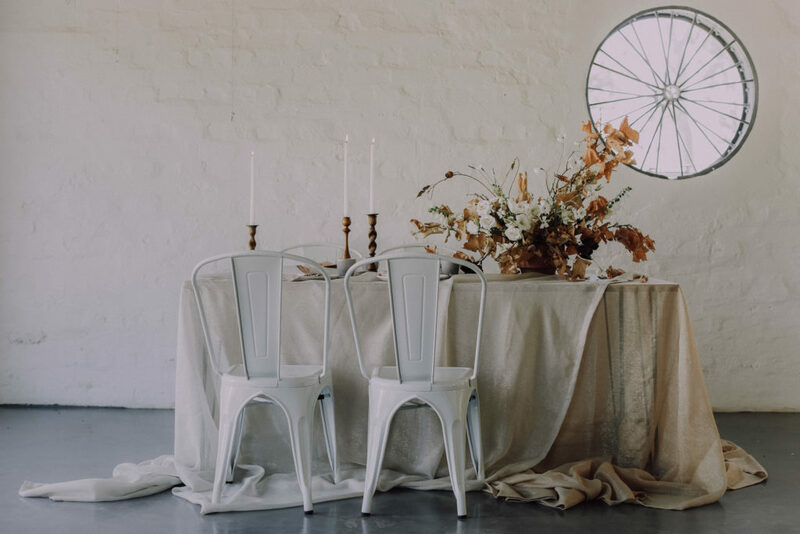 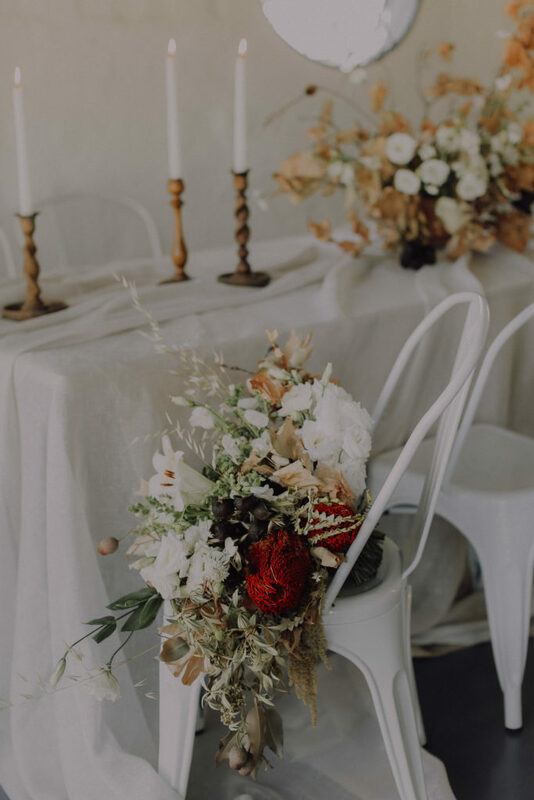 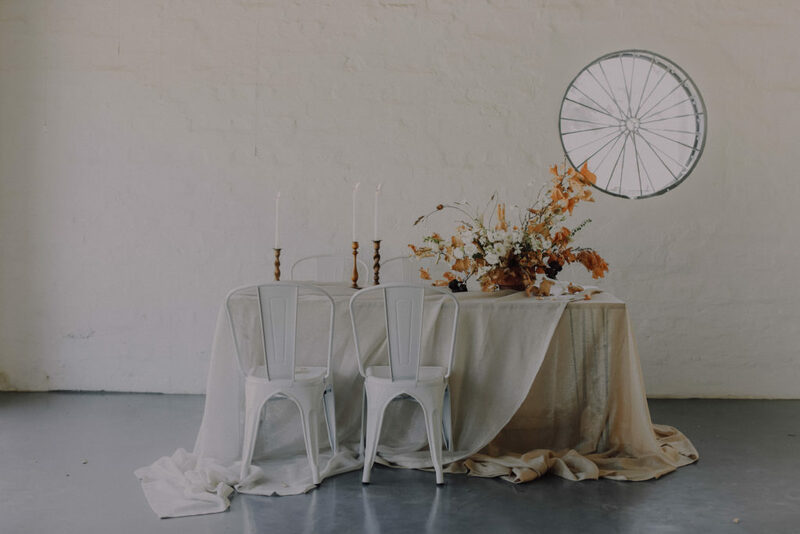 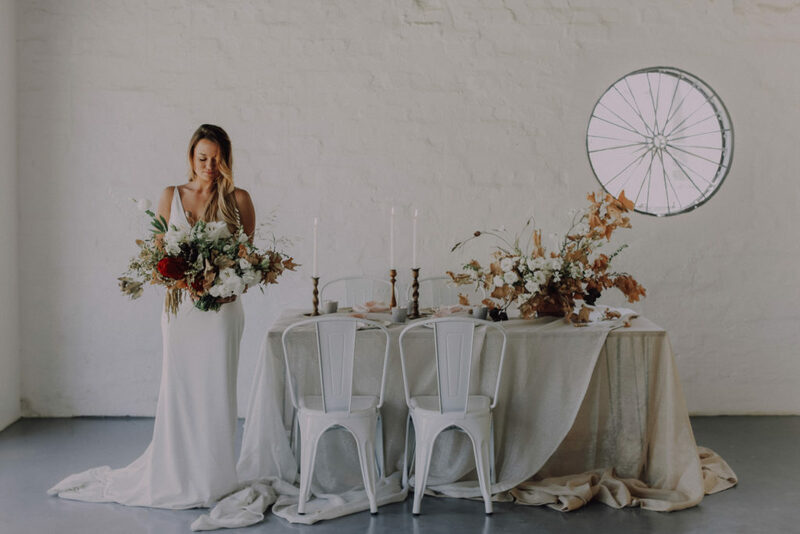 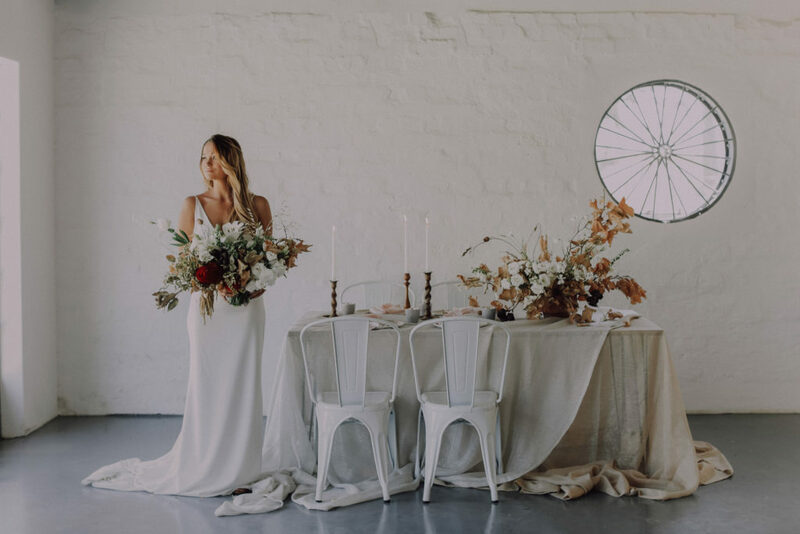 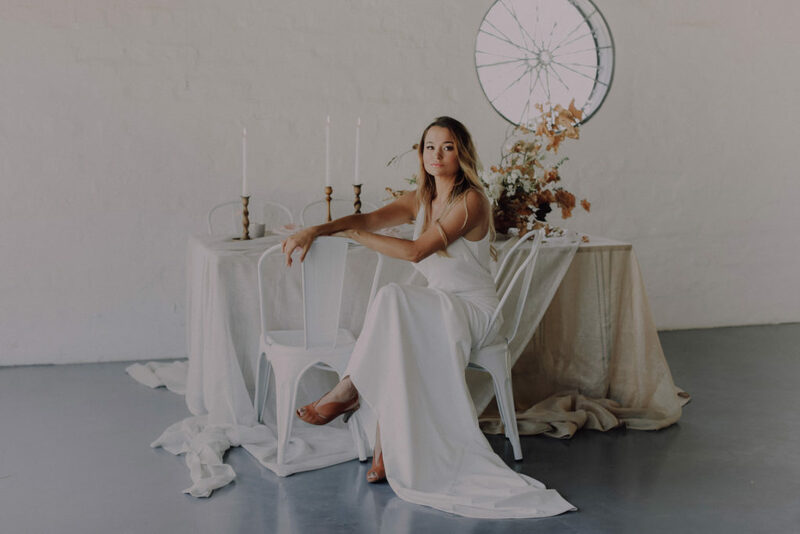 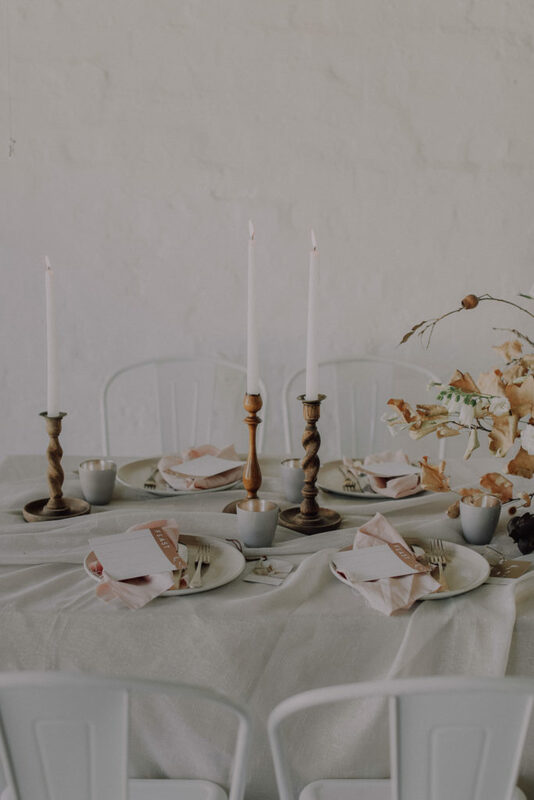 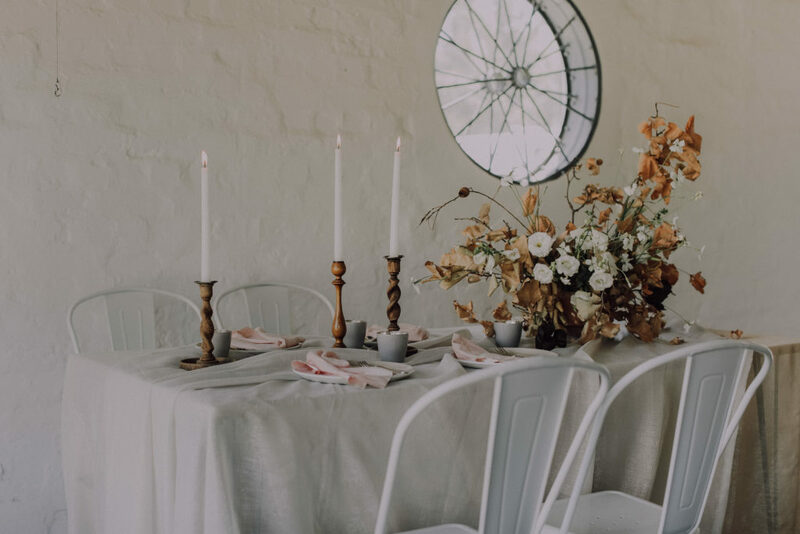 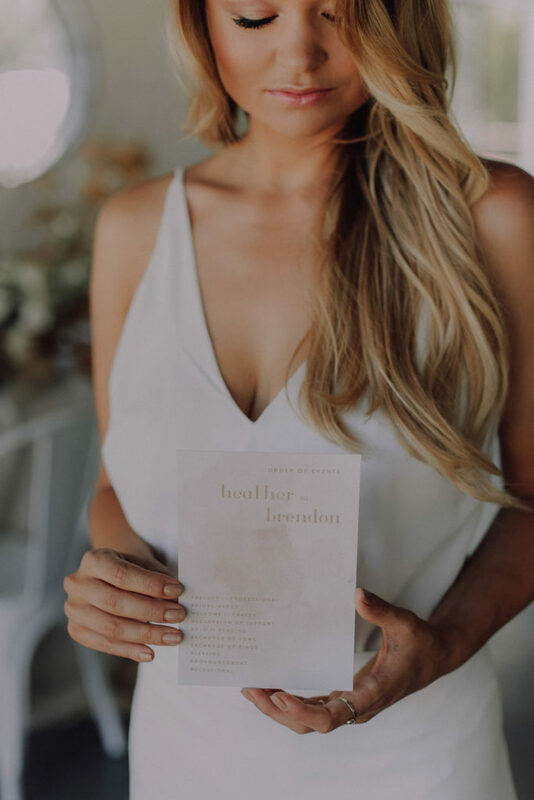 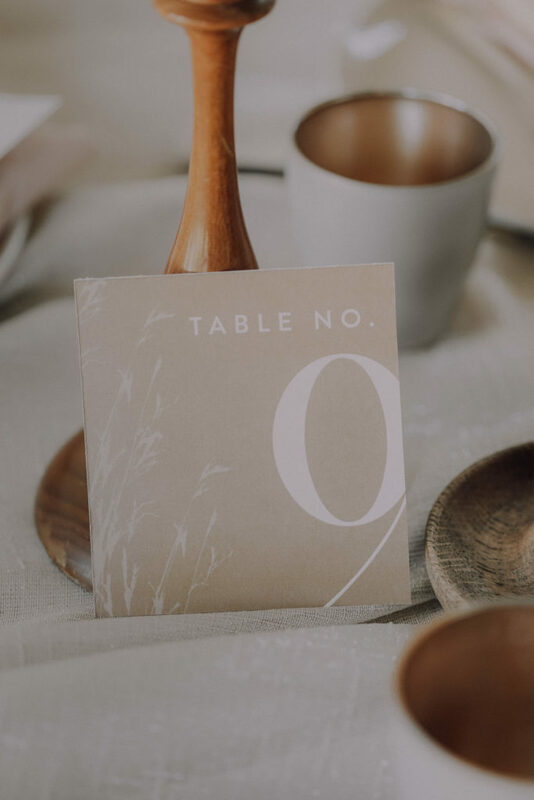 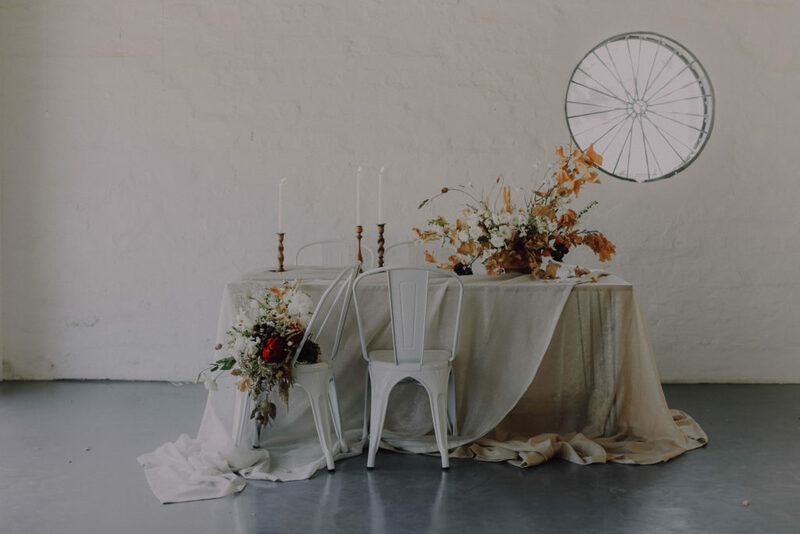 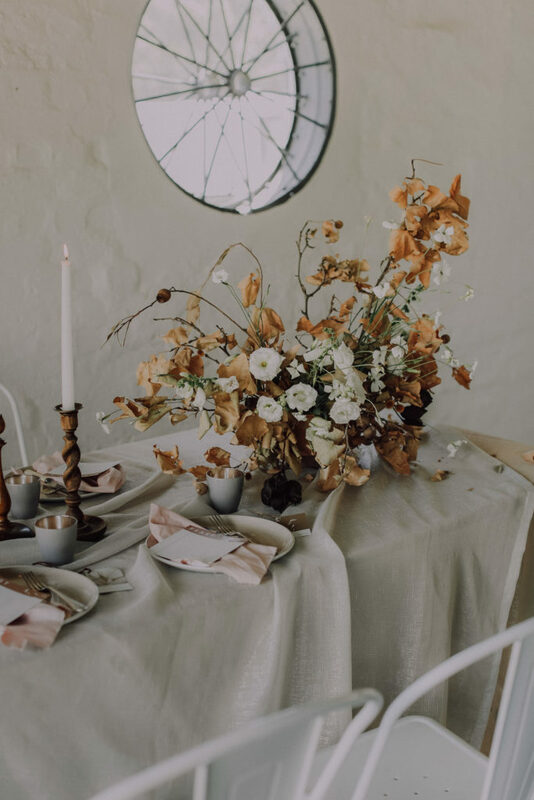 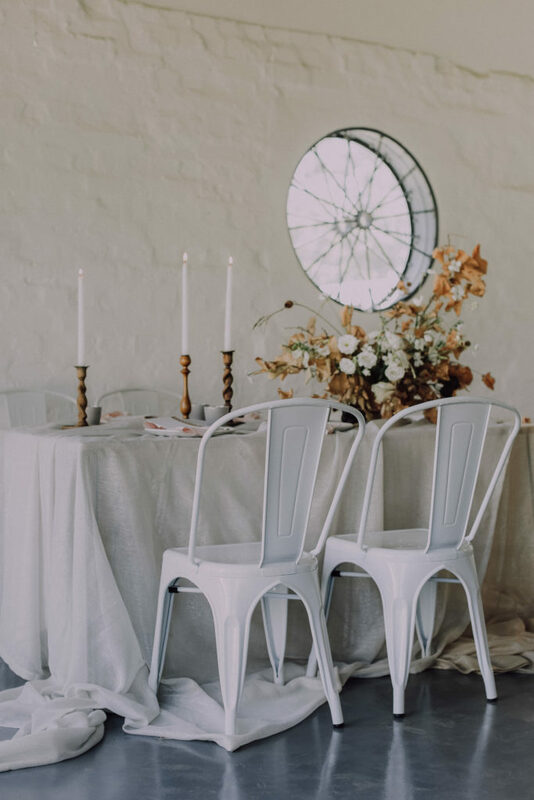 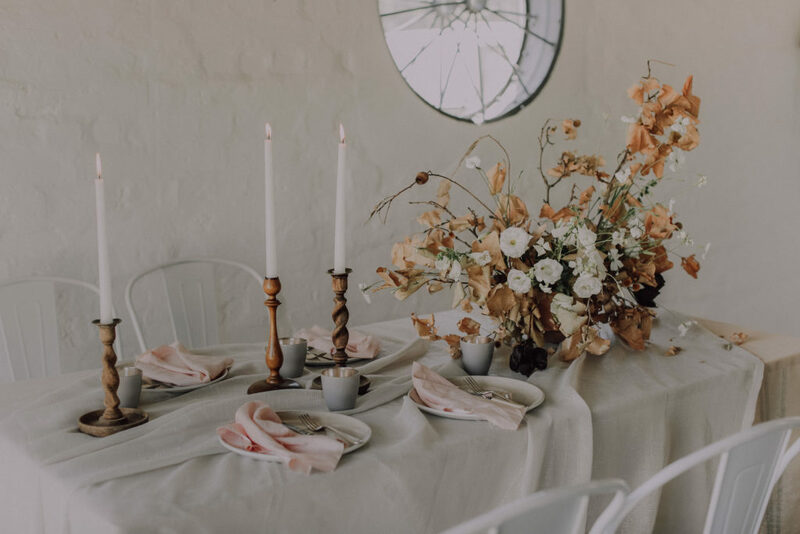 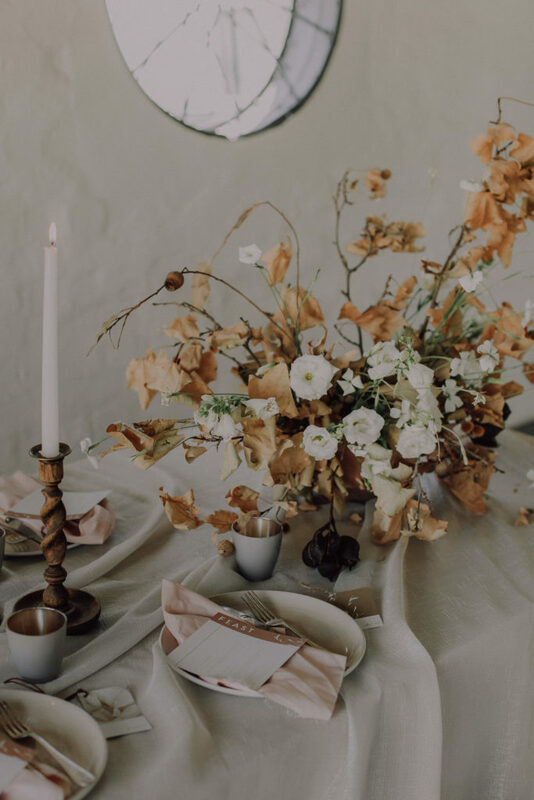 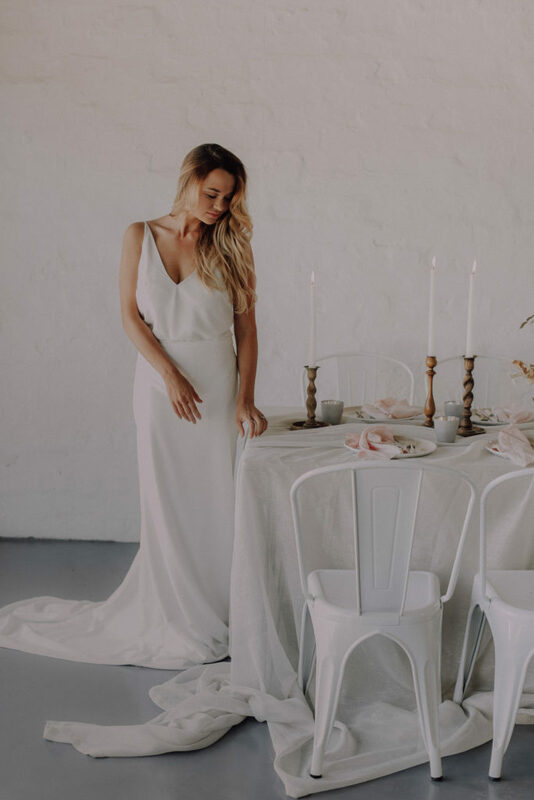 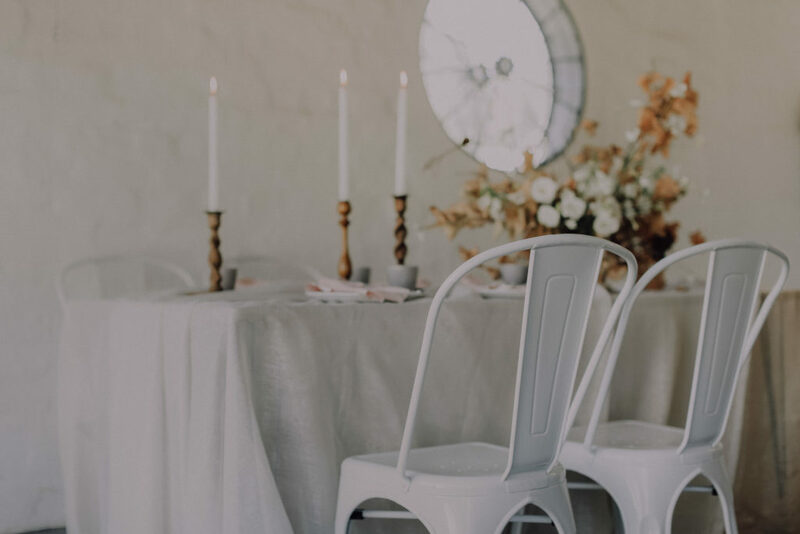 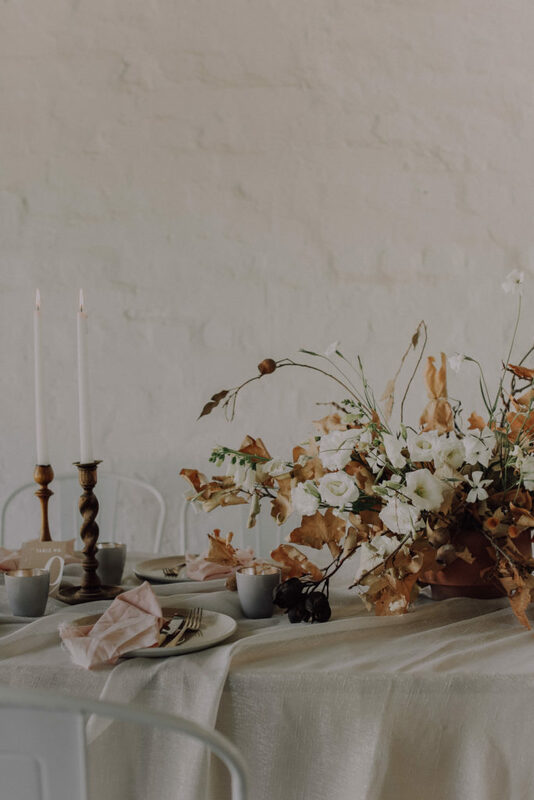 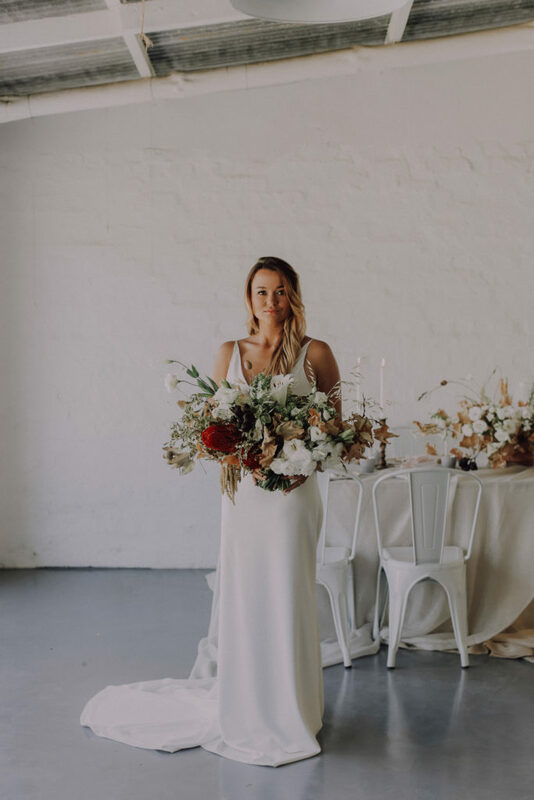 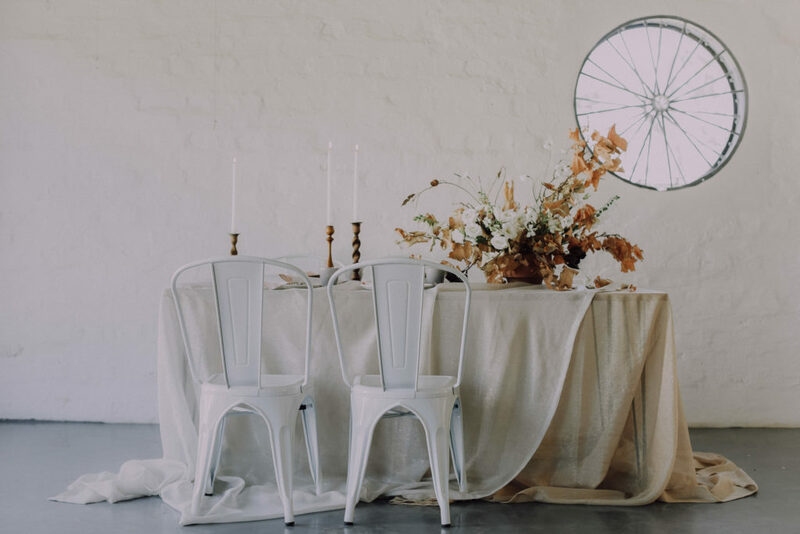 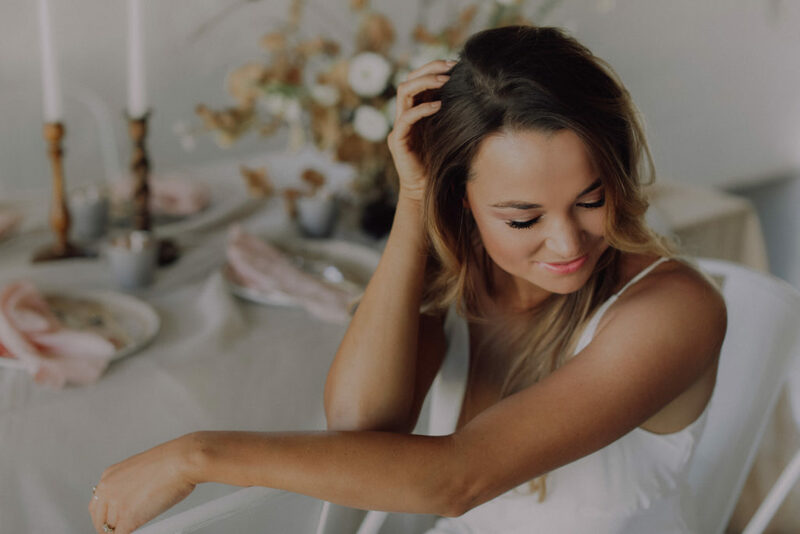 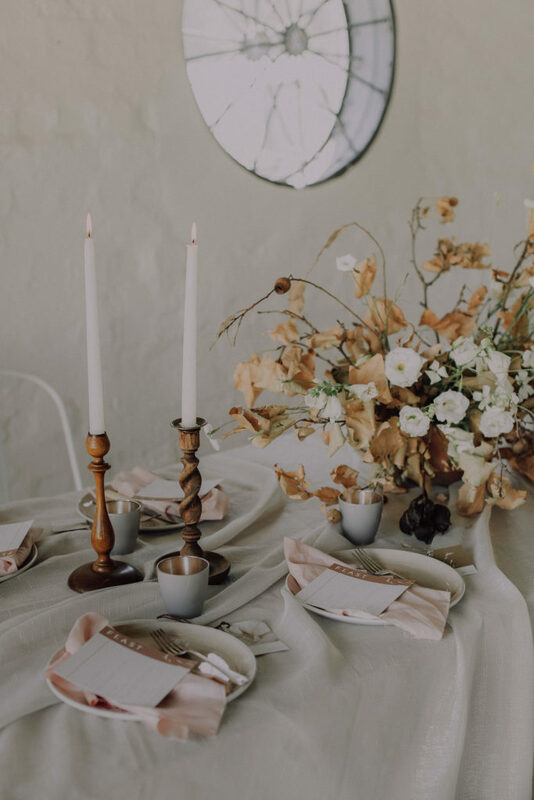 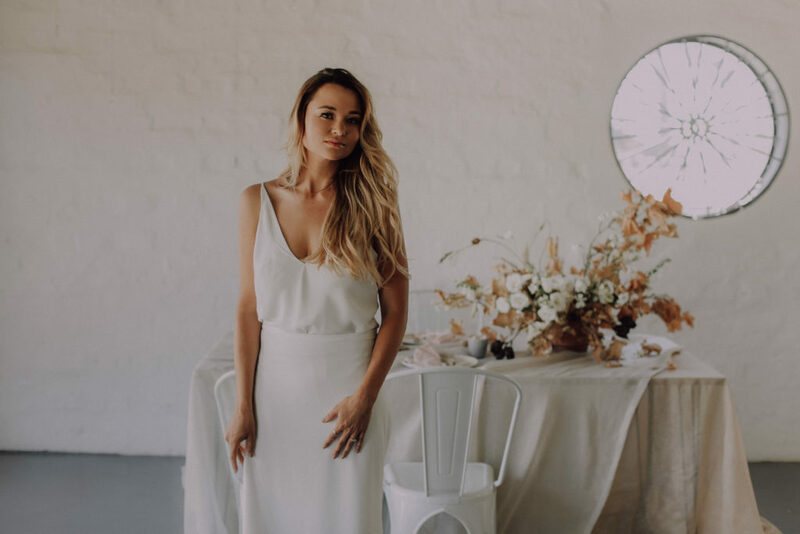 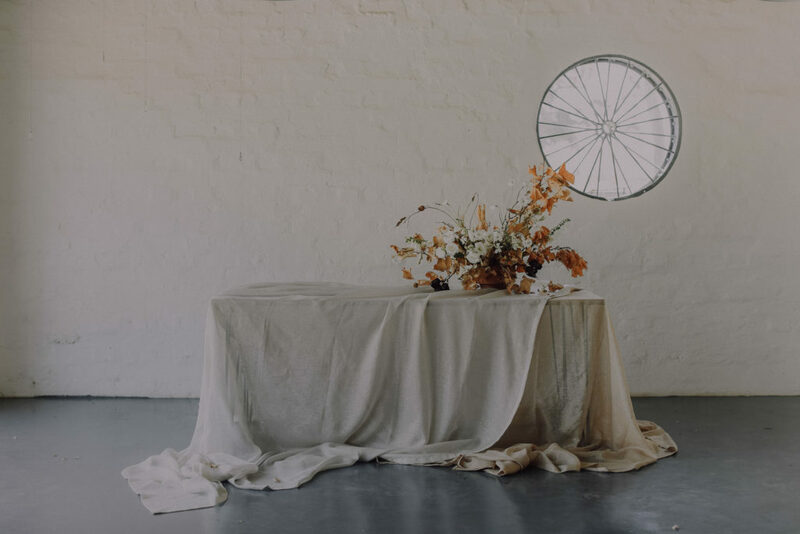 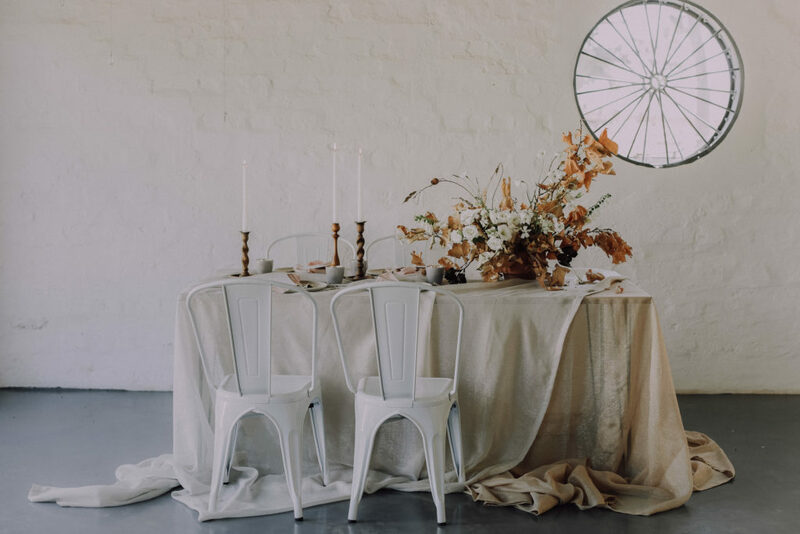 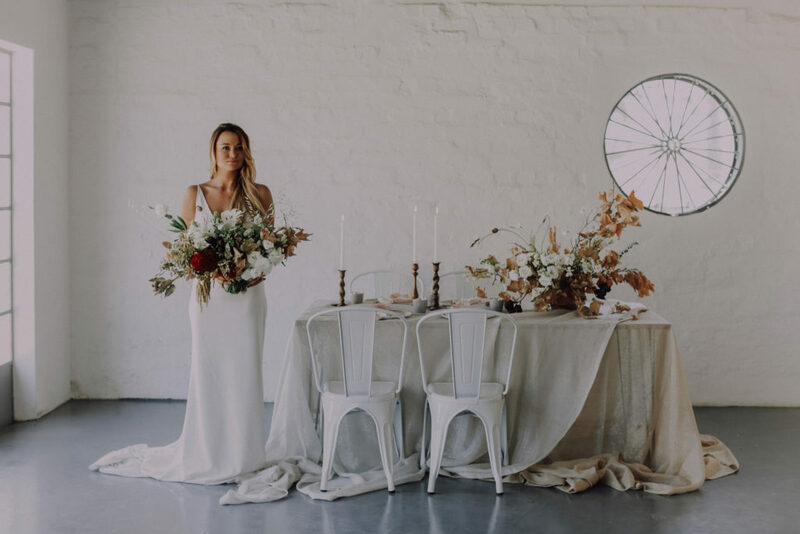 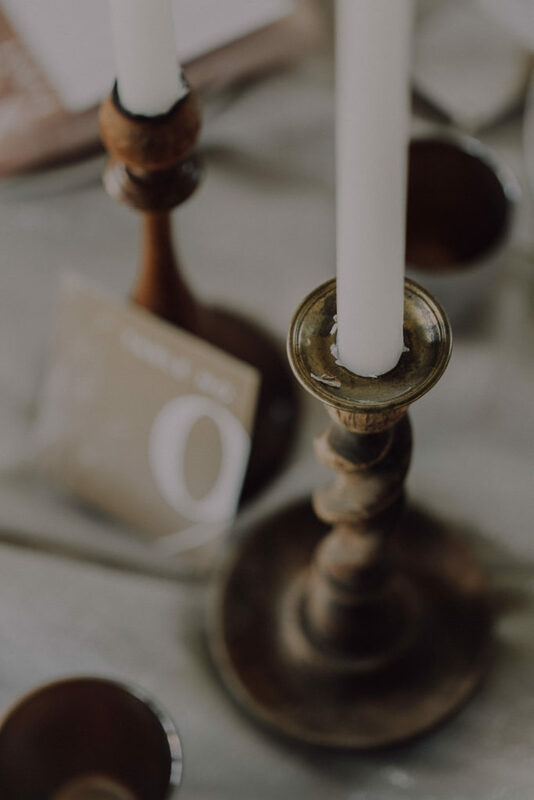 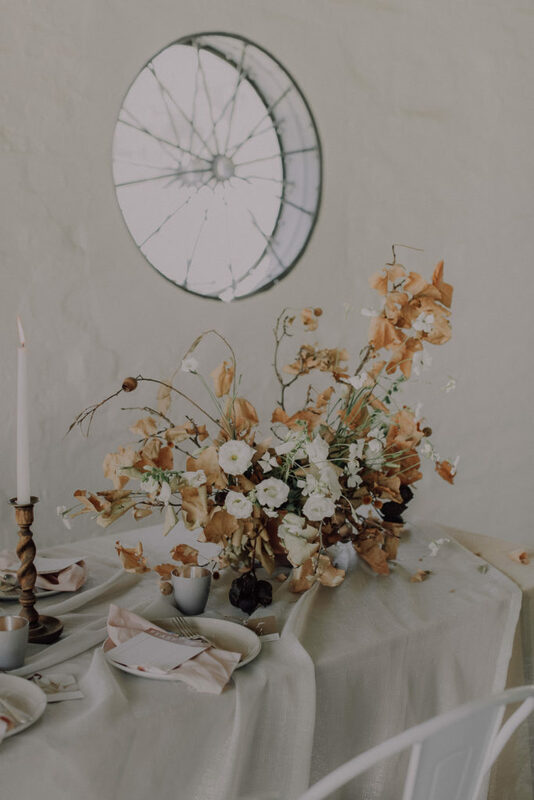 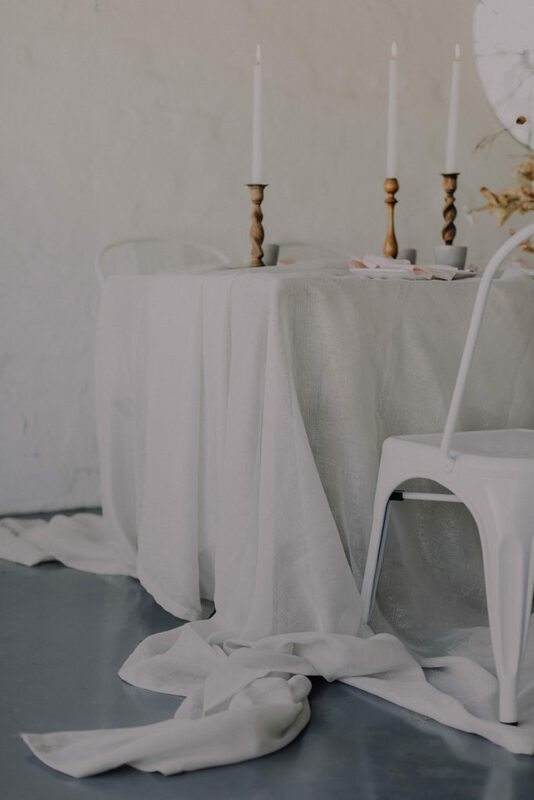 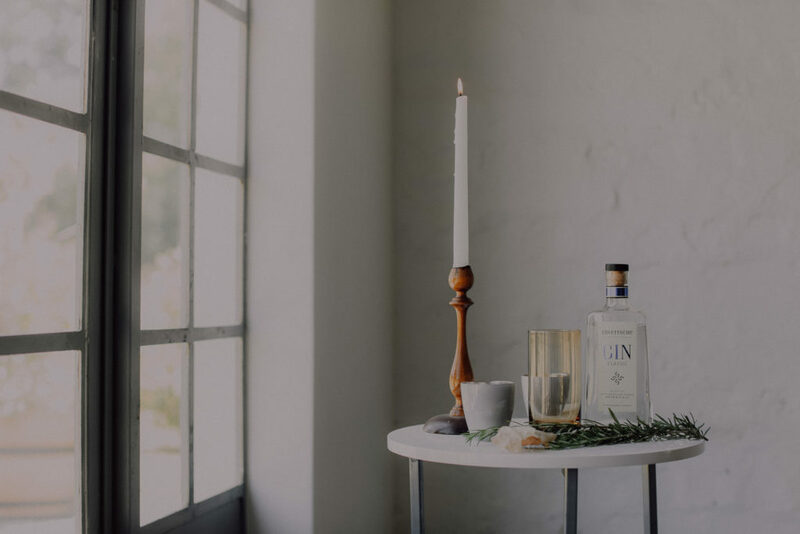 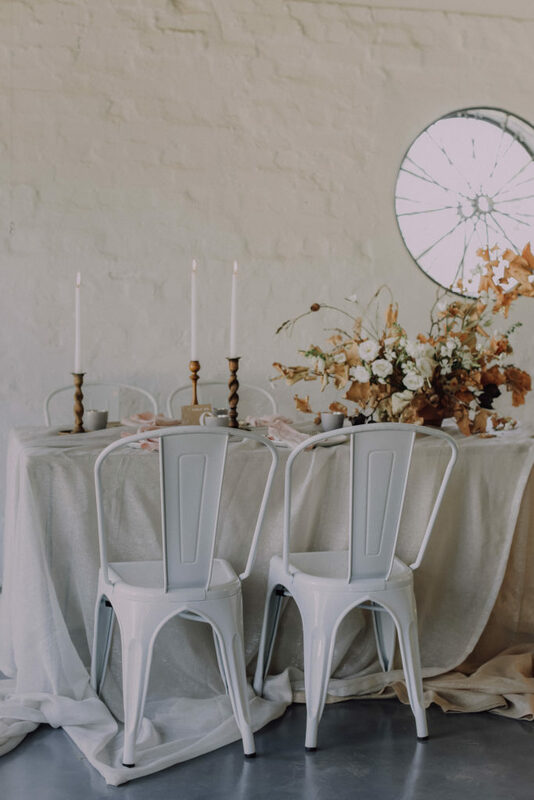 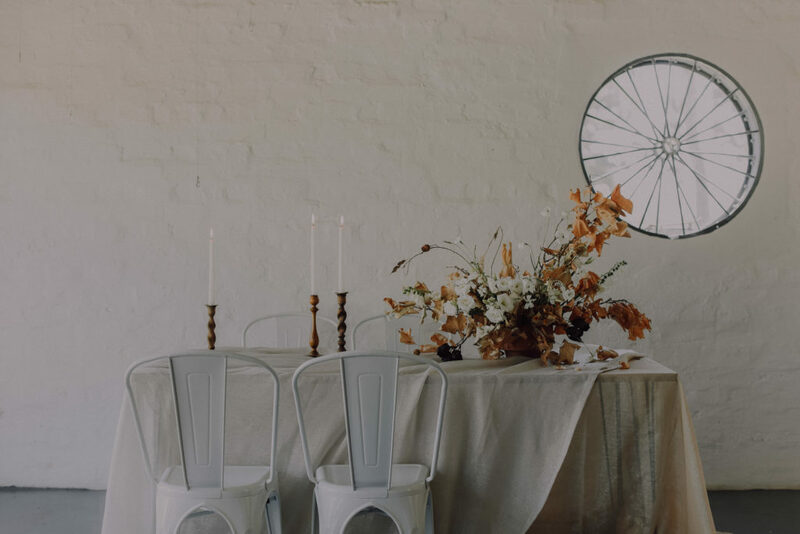 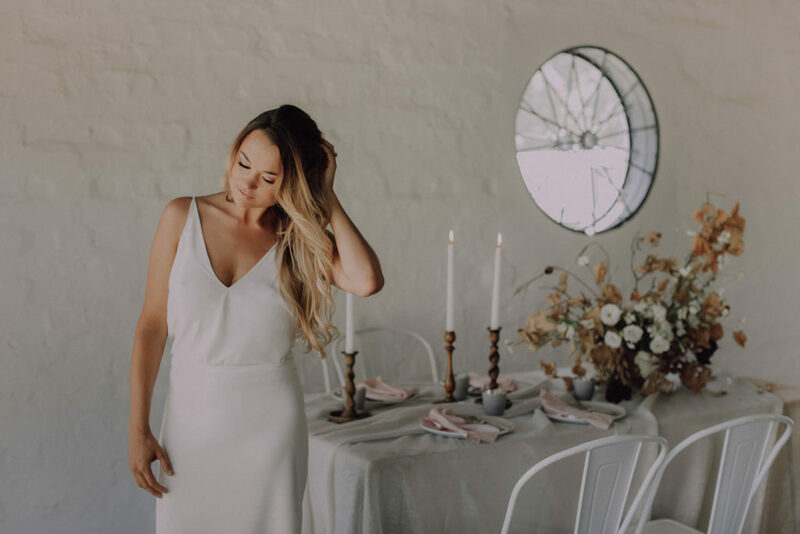 The textured walls and sweet little circle window at The Styling Shed was the venue for this inspirational shoot – the chairs and the gorgeous linen and natural wood candle holders from Grand Room Design added to the romantic feel. 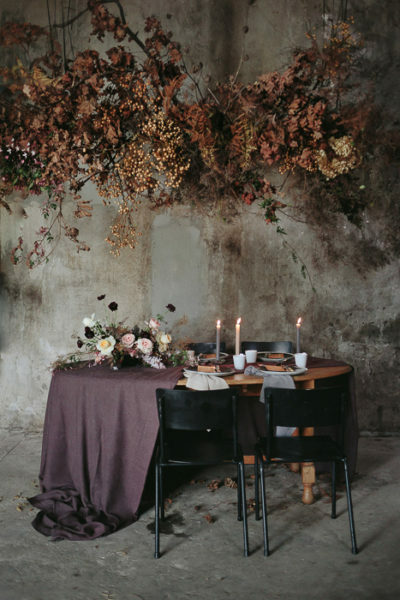 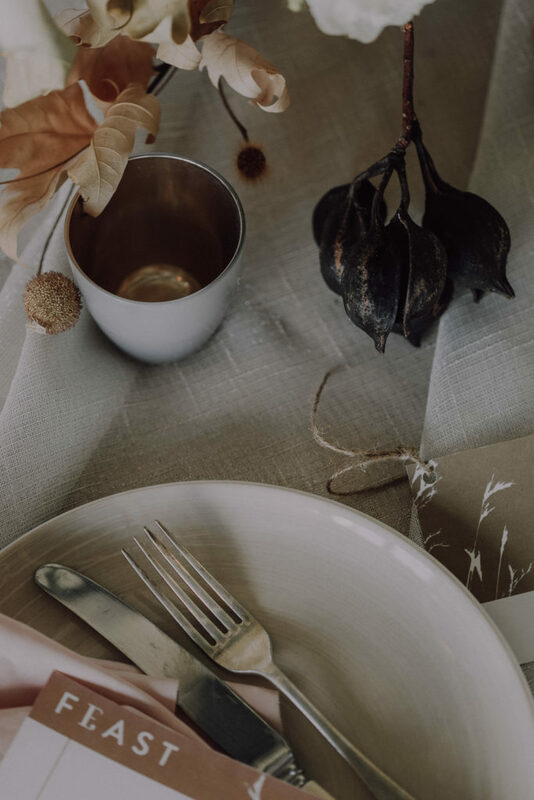 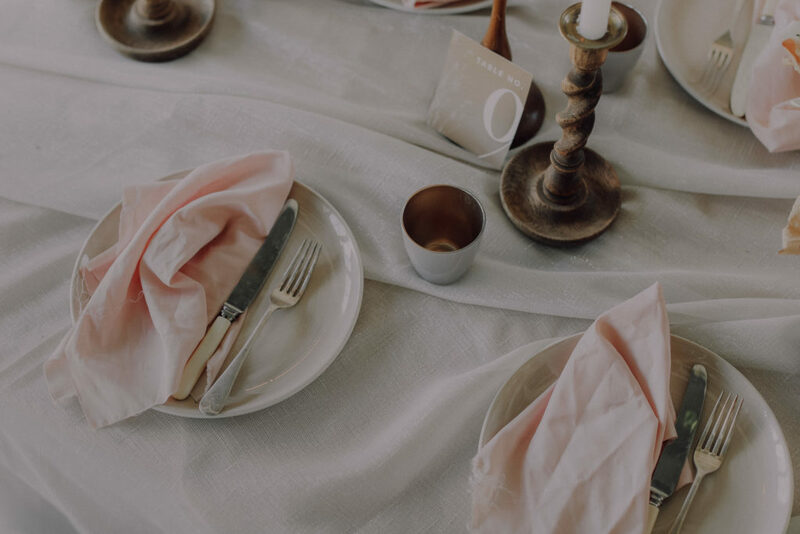 Talk about tablescape goals! 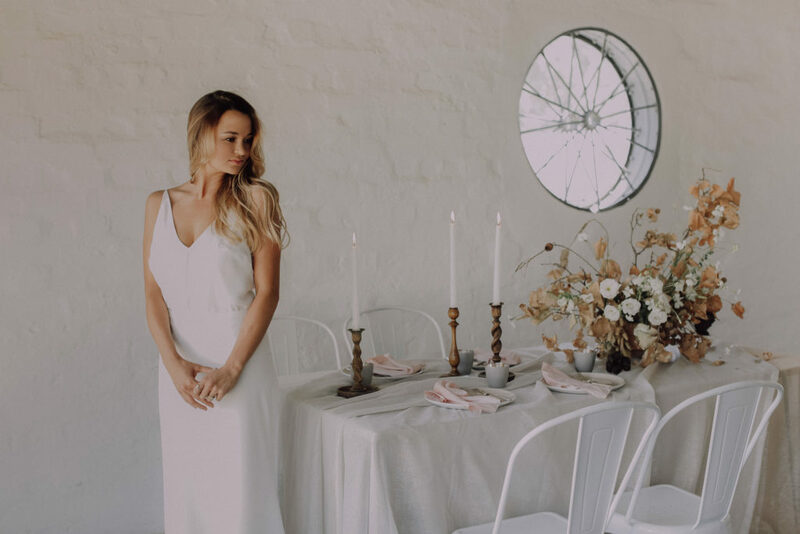 dresses suited our model perfectly while the amazeballs Clarita Smit made sure Anien had the most beautiful natural make up & hair EVER! 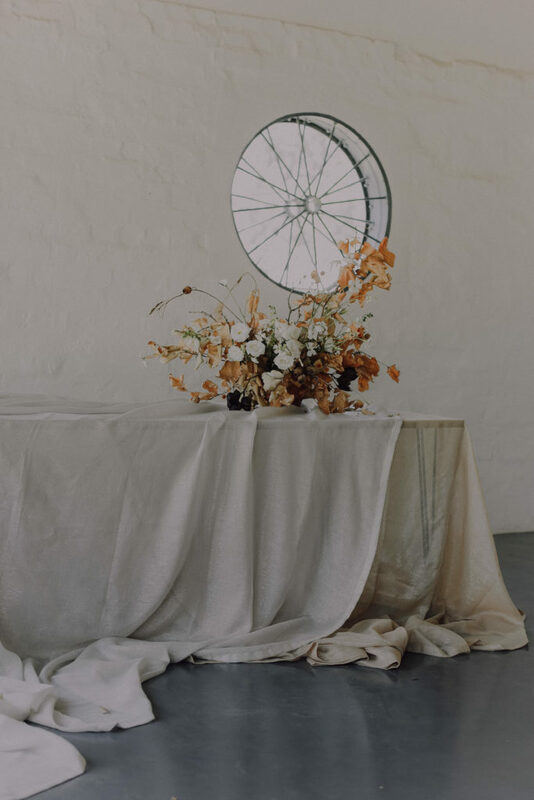 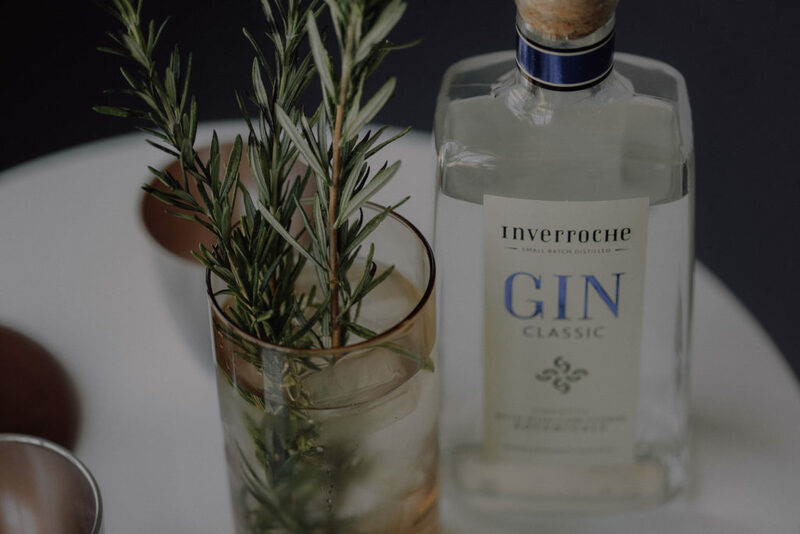 This special shoot was featured on White Mag, have a look at it here!